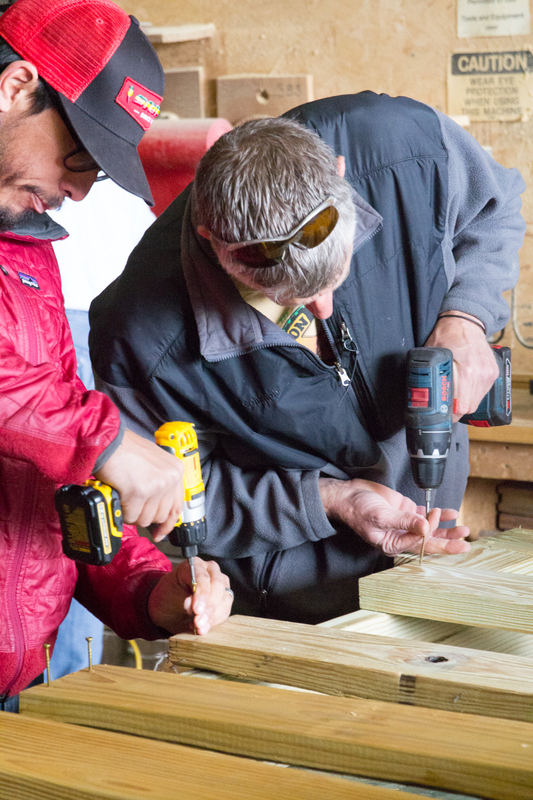 Black Hills Trails doesn’t exist just to build and maintain trails, but to connect communities with each other. 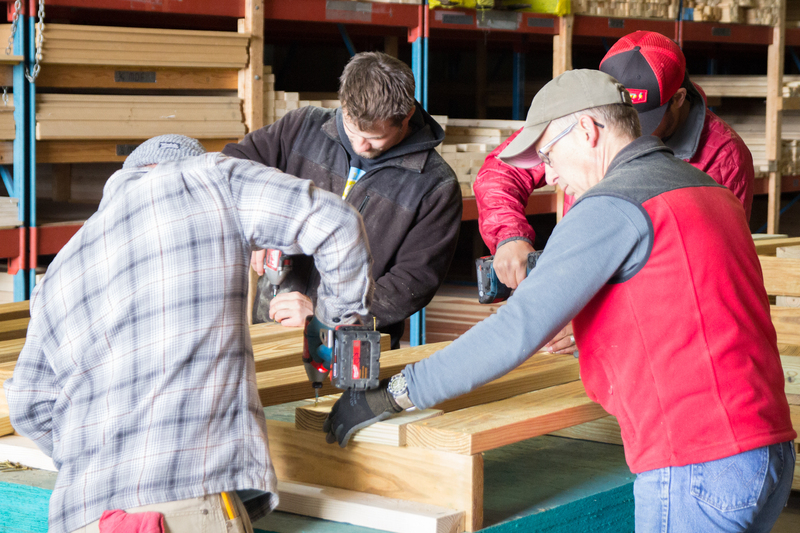 Connecting communities means connecting people, and forming long-lasting relationships. 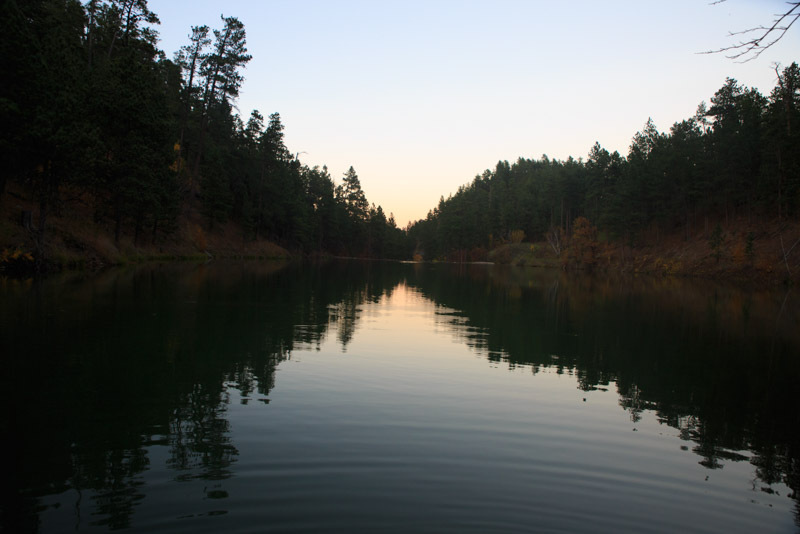 Our efforts were rewarded this year with the deepening and creation of two significant relationships, one with the Black Hills National Forest and the other with South Dakota Game, Fish and Parks. 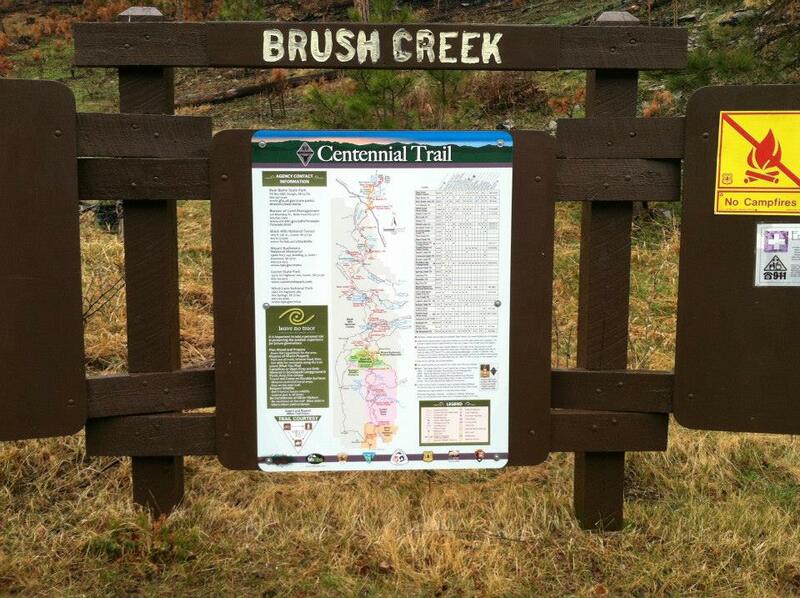 These two organizations manage the majority of recreational trails in the Black Hills area. 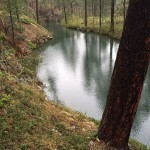 Black Hills Trails has entered a Forest-wide partnership with the Black Hills National Forest. This partnership doesn’t simply replace standing agreements, it expands and enhances the existing relationship between Black Hills Trails and the Black Hills National Forest. 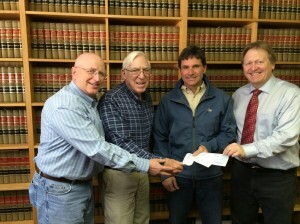 Similar to an agreement held by Black Hills Trails partner organization, Black Hills Back-Country Horsemen, the new agreement provides a framework for meeting each year with Forest Leadership to discuss and make plans for Forest-wide recreation priorities, including maintenance and development. 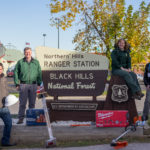 The plans made under this new agreement will help Black Hills Trails and the Black Hills National Forest help each other to better meet the recreation needs of local communities than at any time in the past. 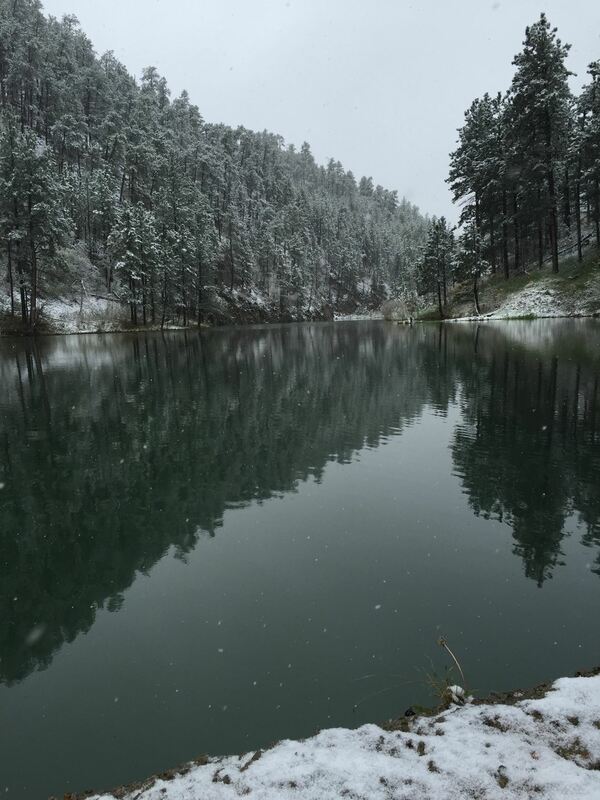 Black Hills Trails and South Dakota Game, Fish and Parks began forging a relationship in 2017 that is already bearing fruit for the Black Hills community. The initial project undertaken as part of this coordinated trail and recreation effort was maintenance and minor reconstruction of the iconic Bear Butte Trail, located northeast of Sturgis at the northernmost terminus of the Centennial Trail #89. 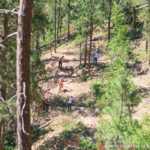 This trail, one of the most loved in the Black Hills, was significantly improved by Black Hills Trails volunteers and by Game, Fish and Parks staff this fall. 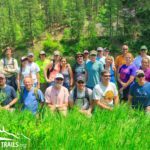 In 2017 Black Hills Trails began recognizing an individual for their significant contributions to trails in the Black Hills. 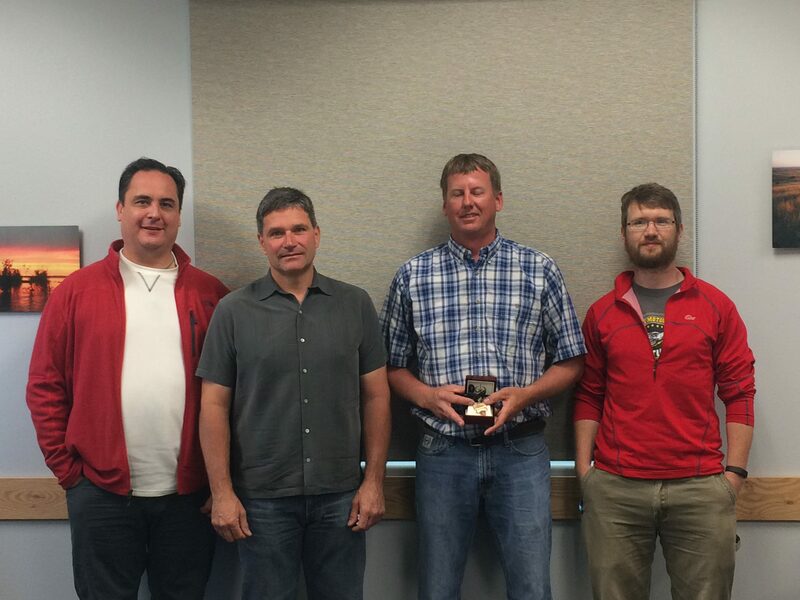 The first-ever Trailblazer Award was presented to Ryan Larson of the Bureau of Land Management for his exceptional cooperation and coordination on the development and maintenance of the trail system on the Fort Meade Recreation Area. 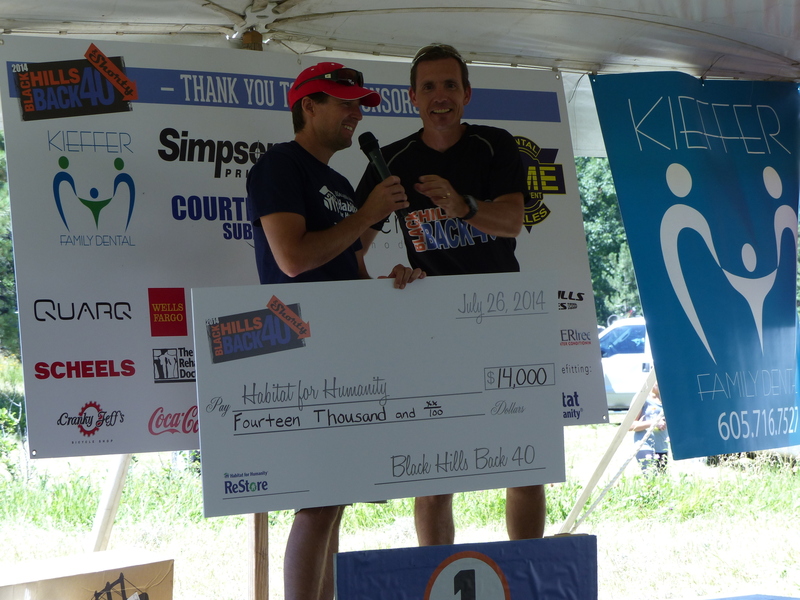 We could not think of any better recipient for the first presentation of this annual award. Ryan’s contributions to the trail causes go far beyond what is required of his position with the BLM. 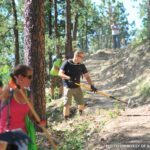 To better manage the different efforts being undertaken by Black Hills Trails volunteers, and be able to better take advantage of new opportunities, Black Hills Trails re-organized into three Zones in early 2017. Currently, most trail in the Northern Black Hills and all significant trail in the I-90 corridor is covered by a Black Hills Trails Zone. 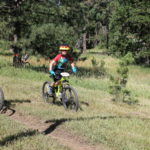 These Spearfish, Sturgis, and Rapid City Zones have consolidated the trail-related efforts of the existing organizations Northern Hills Trails and Black Hills Mountain Bike Association under a unified Black Hills Trails Banner. 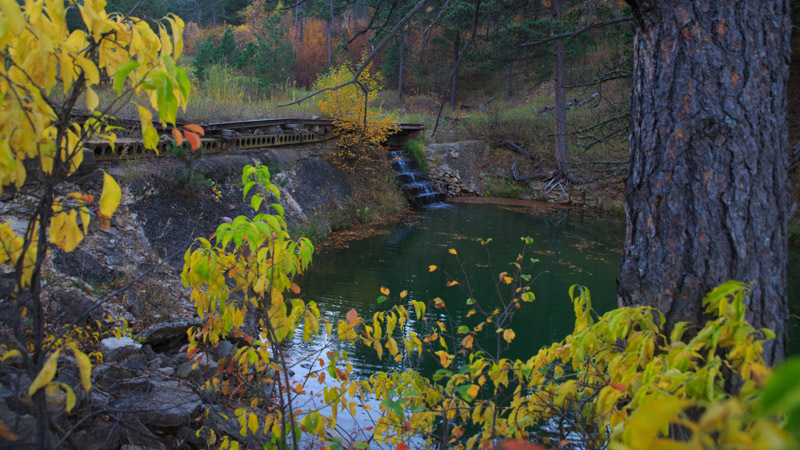 This consolidation helps bring together a significant pool of resources, expertise, and a unified voice that will result in more and faster progress on trail projects in the Black Hills in the future. 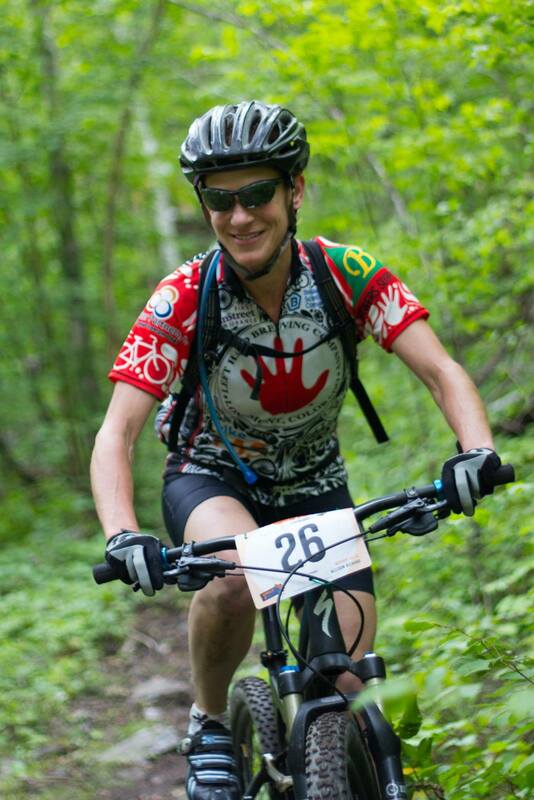 Casey Bergstrom, representing the Spearfish Zone, cycling and hiking interests, and the cycling industry. Emily Wheeler, representing the Rapid City Zone, trail running interests and the outdoor event industry, and will act as liaison to the Black Hills Runners Club. 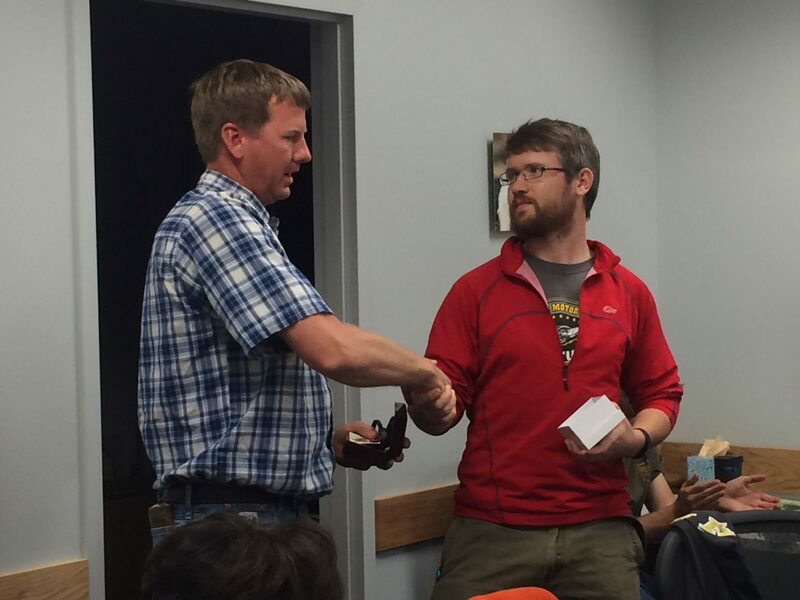 Kent Jacobs, representing the Rapid City Zone, cycling and motorcycling interests, and acting as liaison to the Black Hills Mountain Bike Association. 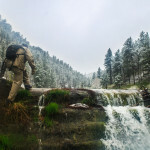 Tony Ortiz, representing the Sturgis Zone, general outdoor recreation interests, and liaison to the National Forest Advisory Board. Kevin Forrester, Founder, representing the Sturgis Zone, cycling and hiking interests, and liaison to the Bureau of Land Management Resource Advisory Council. 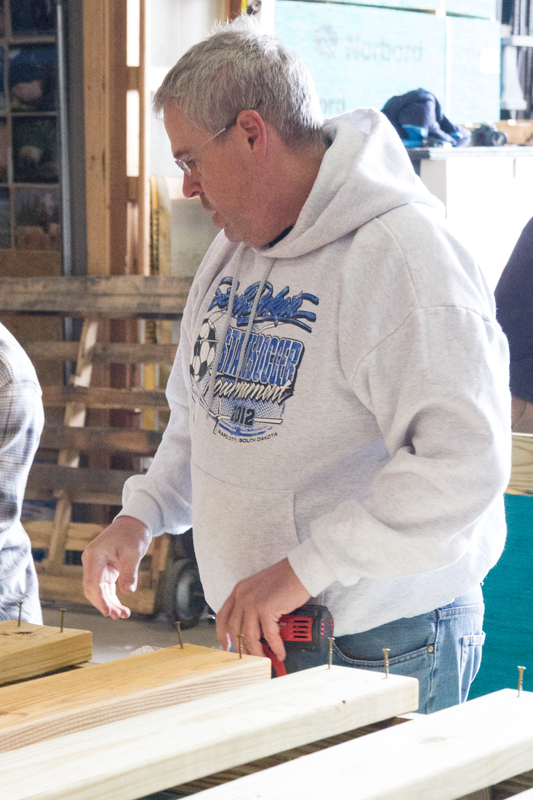 Samuel Greear, Founder, Executive Director. One seat representing the Spearfish Zone remains to be filled. 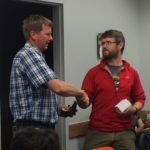 The Black Hills Trails Board would like to extend our thanks to Geoff Gloceri, who enthusiastically represented the interests of the organization in the Spearfish area in 2017, but has recently relocated. 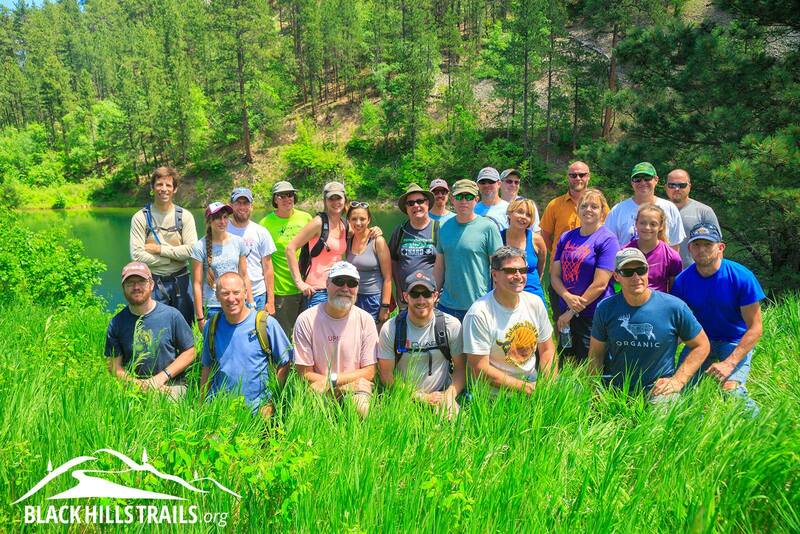 They say the proof is in the pudding, and Black Hills Trails could not be more proud of the results that can be seen on the ground today, results made possible by our dedicated volunteers and partners. 2017 saw a number of small updates and improvements to the 7th Cavalry Trail System on the Fort Meade Recreation Area east of Sturgis, including the completion of on-trail signage. All of the numbered trails on the Recreation Area have been given names and improved maps of the area are under development. 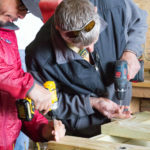 The Grillo tractor and attachments purchased in early 2016 were instrumental to the completion of this trail system entirely with volunteer labor. 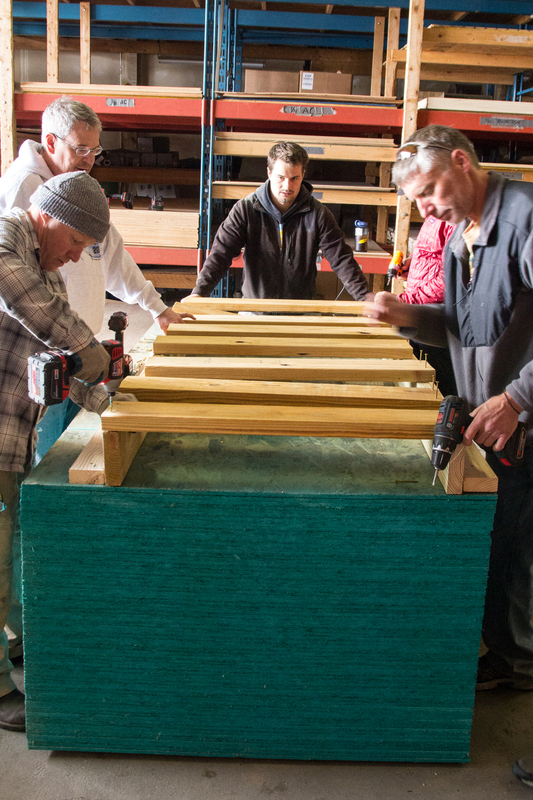 The terrain, soils, and trail design lent themselves to rapid construction with an extremely reasonable investment in terms of both volunteer time and capital. 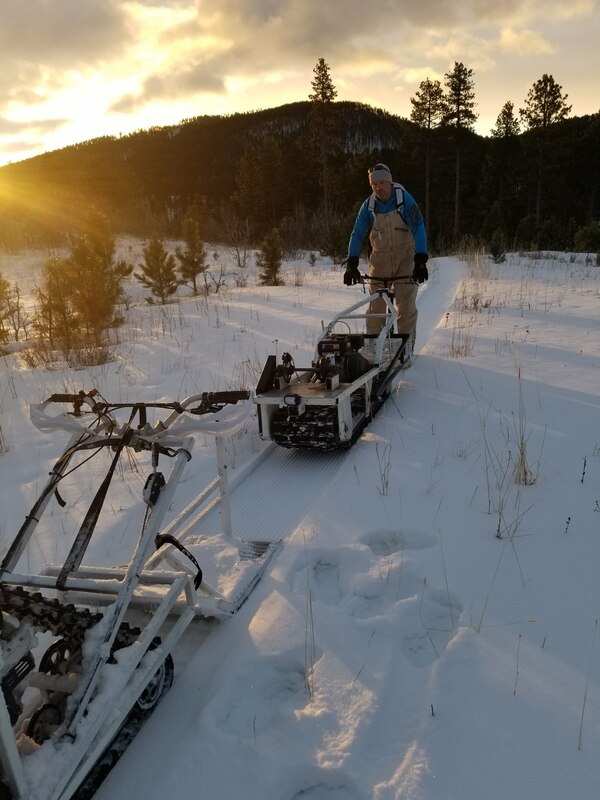 Capital expenditures on the 7th Cavalry Trail System total less than $30,000 to date (2014-2017), including the purchase of the Grillo tractor, making it a practically unheard-of return on investment for local Black Hills Trails donors. 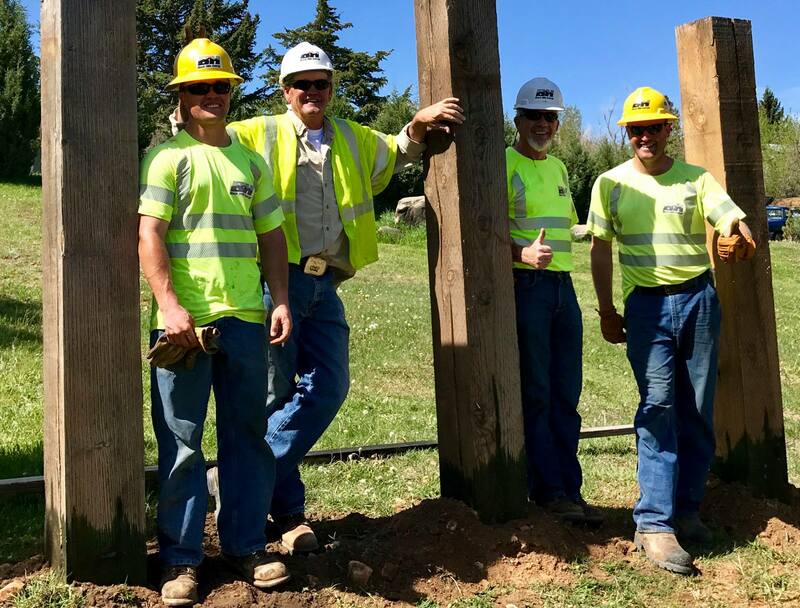 The Deadman Trailhead, located on the southern end of Sturgis on the corner of Pineview Dr and Vanocker Canyon Rd, near Flex Fitness and just south of I-90 exit 32, was completed this fall. This public-use Trailhead, located on a City-owned lot, had the grade raised significantly with the addition of nearly 300 tons of fill capped with limestone and was recently paved to meet City ordinance. This improved trailhead will serve as a primary access point to the future Deadman Trail System and is open today. 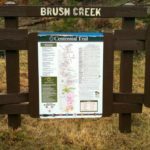 This trailhead was made possible by the generosity of many Black Hills Trails donors, and local businesses who contributed materials and/or labor. Benefactors of this trailhead include the City of Sturgis, Meade County, First Interstate Bank, Pete Lien & Sons, Bruch Gravel, Black Hills Energy, Wheeler Lumber, and Sacrison Paving. 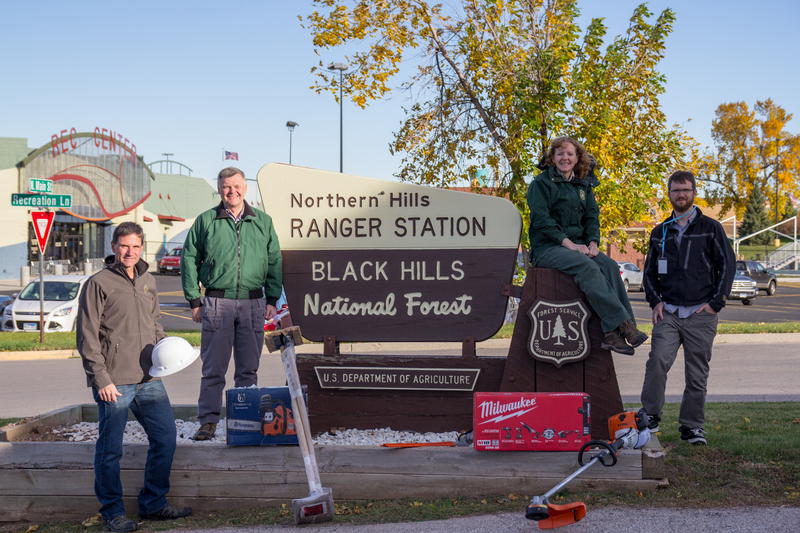 Because of these incredible partnerships, investment by Black Hills Trails totaled only $15,000 for this permanent trailhead. 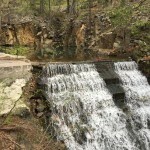 The first trail into the Sturgis City Dams was completed and opened for public use. 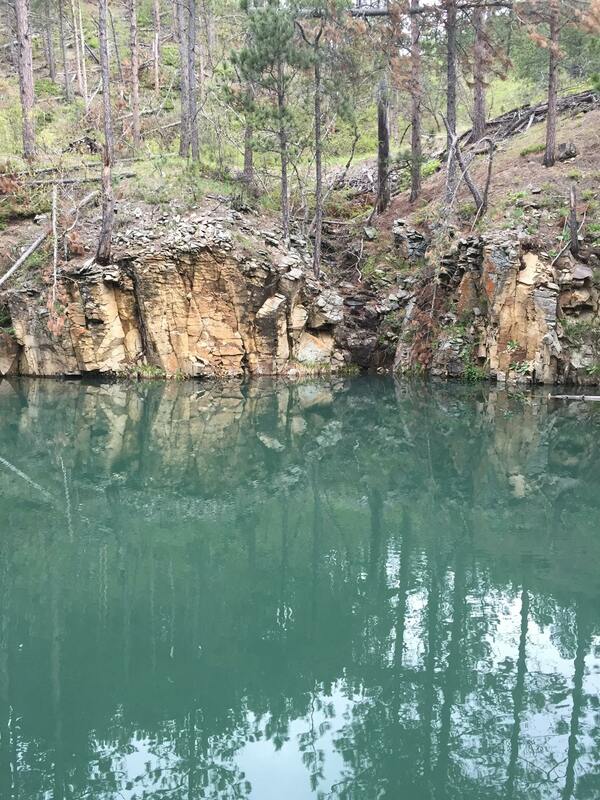 This trail, which will be incorporated into the future Deadman Trail System, is already seeing significant use by the community for hiking and access to the angling opportunities afforded by the Dams. 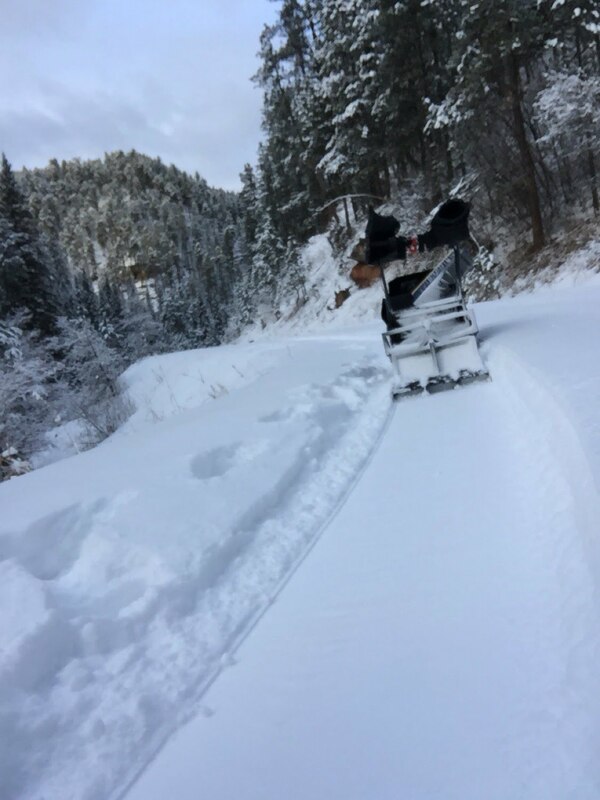 Due to the adverse terrain construction of this trail was made possible with the assistance of a private contractor and was machine-built on a corridor identified by Black Hills Trails volunteers. 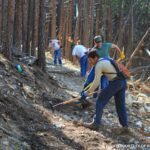 After rough construction, the trail was finished by volunteers who helped set a new participation record with nearly 40 volunteers lending a hand on the public volunteer day held in June of 2017. 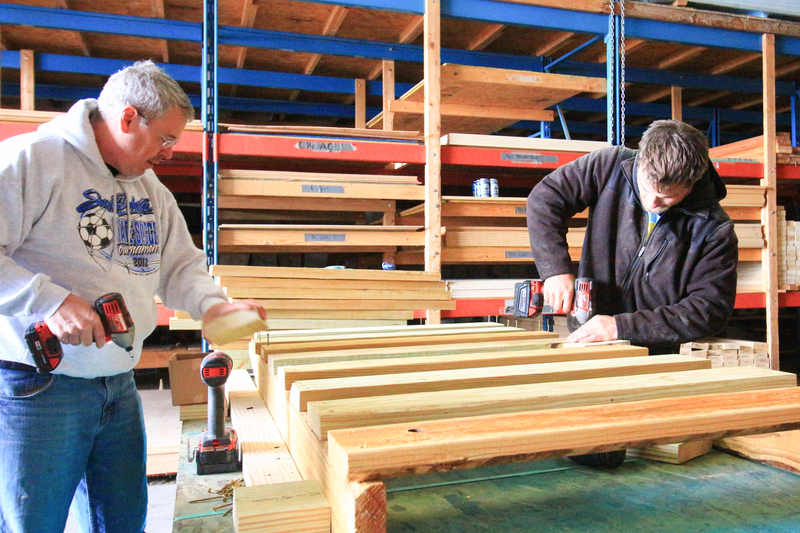 The second and third of four possible trails accessing the City Dams were constructed by a trail contractor this year, but require completion by volunteers in 2018. 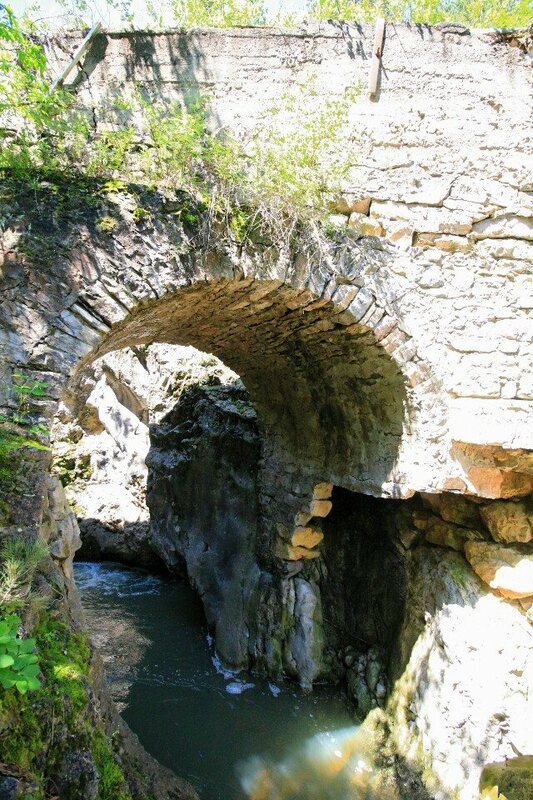 These trails were machine-built, similar to the first trail, as required by the steep and rocky terrain. Once finished, the second trail will connect to existing routes near Veteran Peak to the south of the Dams, and ultimately connect to the Centennial Trail #89 north of Elk Creek Trailhead. The third trail connects to Bulldog Rd (FS 139.1), and the Centennial Trail #89 at the southern base of Alkali Ridge. 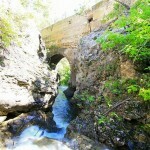 The total investment to date in these three trails, including the contracted construction, is approximately $40,000. 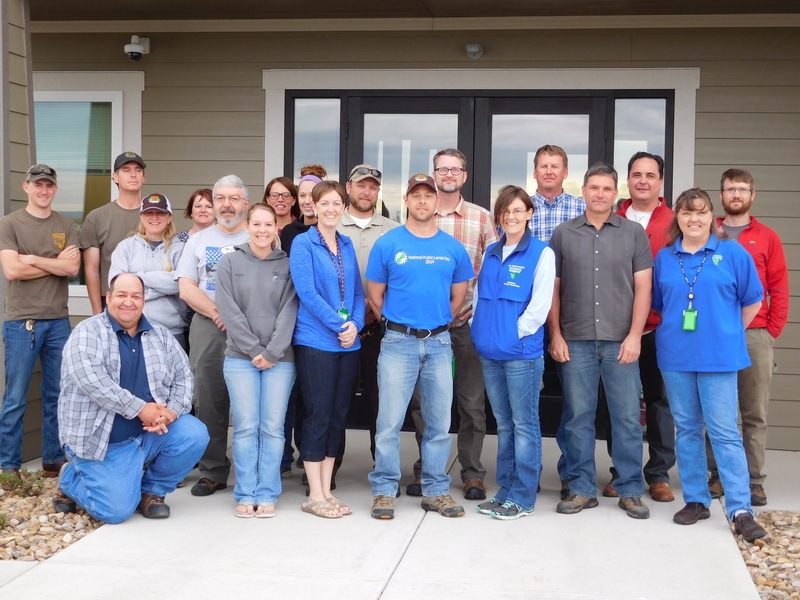 These trails were made possible by generous contributions from within Sturgis and other Northern-Hills communities, the Altria Group, and funds raised at a fundraiser held in Sturgis in April 2017. 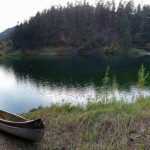 While the trails into the City Dams, located on property owned by the City of Sturgis, are the heart of the future Black Hills Trails proposed Deadman Trail System, this trail system also includes approximately 10 miles of trail surrounding the City-owned property on National Forest lands. 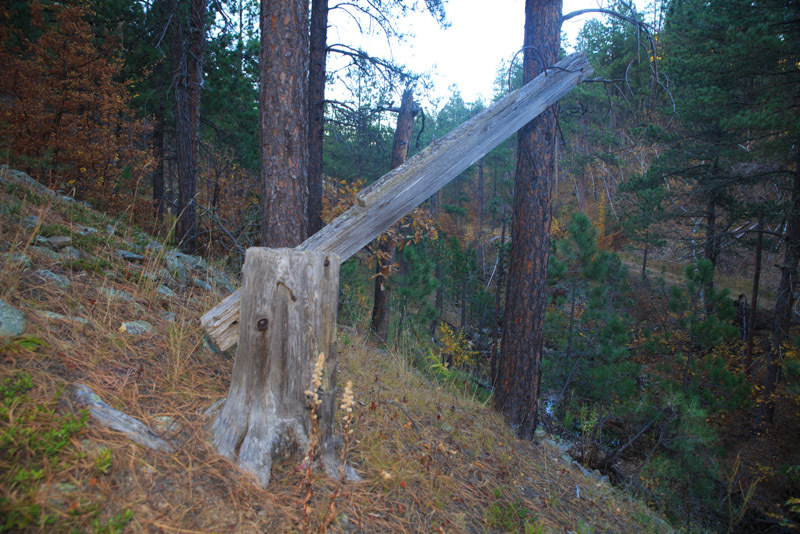 The Black Hills National Forest and the City of Sturgis have entered into an agreement to complete the environmental and other analysis required to finish this trail system. While some questions of cost and time to completion remain, this process is already well underway. 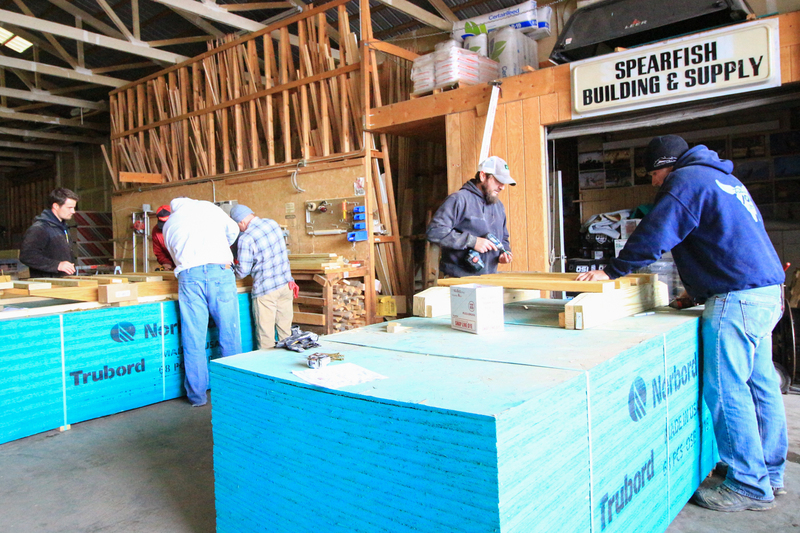 Black Hills Trails continues to assist both the City of Sturgis and the Black Hills National Forest through this federally mandated process. Once the required analysis is complete, Black Hills Trails will be allowed to move ahead with construction of the remaining trail, which is anticipated to happen in 2018. 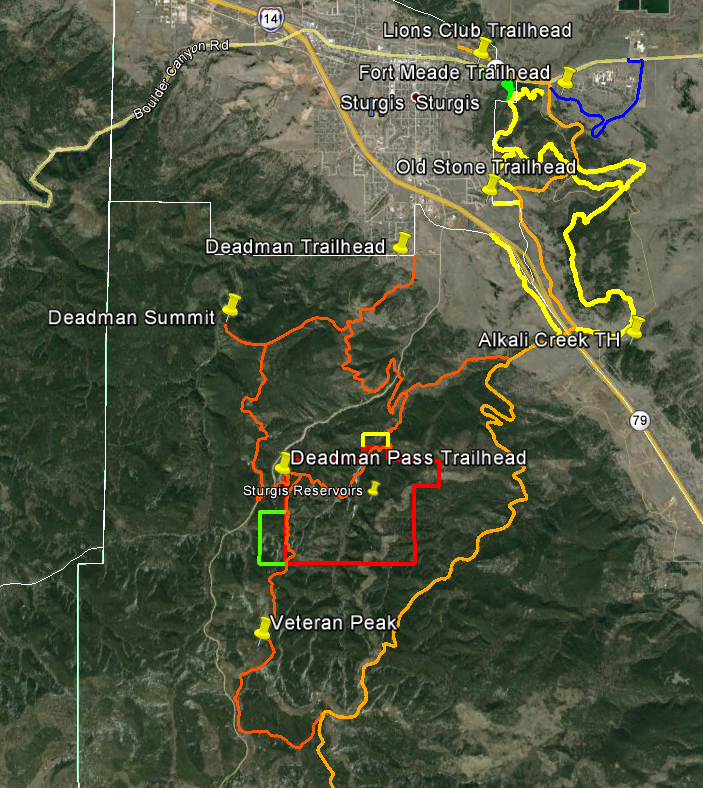 The expenses required to finish the Deadman Trail System, including the aforementioned analysis, as well as remaining trail construction, equipment, map development, and signage are estimated at $125,000 – $175,000 in 2018 and 2019. 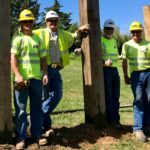 Black Hills Trails continues to work on numerous other projects around the area, and assist partner organizations with their efforts. 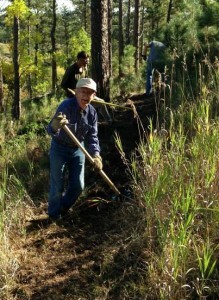 Just like in previous years, dozens of miles of existing trail were cleared of fallen timber or otherwise improved by our dedicated volunteers. 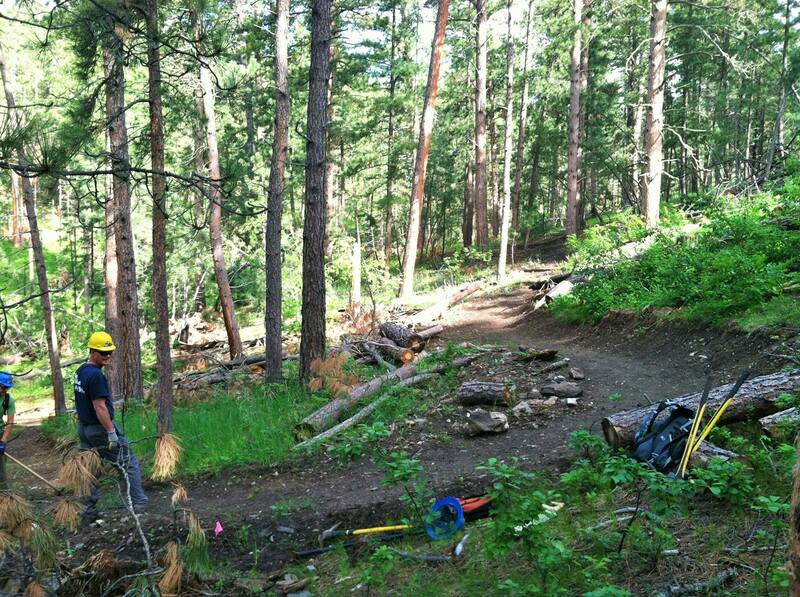 The Spearfish Zone of Black Hills Trails has continued progress on a number of on-going projects. 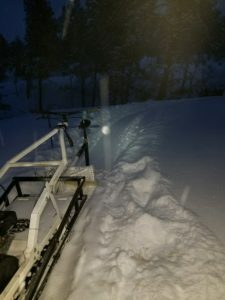 Representatives are continuing to collaborate with the City of Spearfish on the Lookout Mountain Trail System to ensure it is able to meet diverse needs and is a valuable asset to the community. 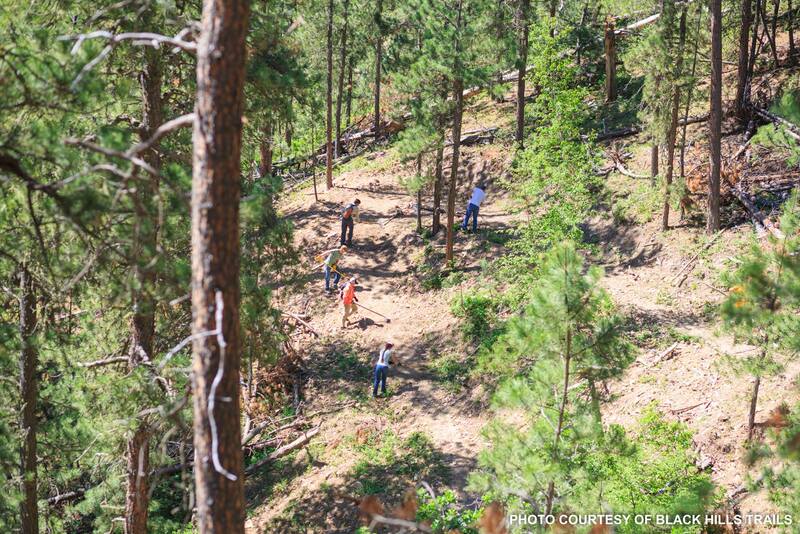 The Tinton Trail (also known as the Dakota Five-O Loop) continues to edges closer to official Forest System status, led by Black Hills Trails partner, the Ridge Riders of the Black Hills Mountain Bike Club. 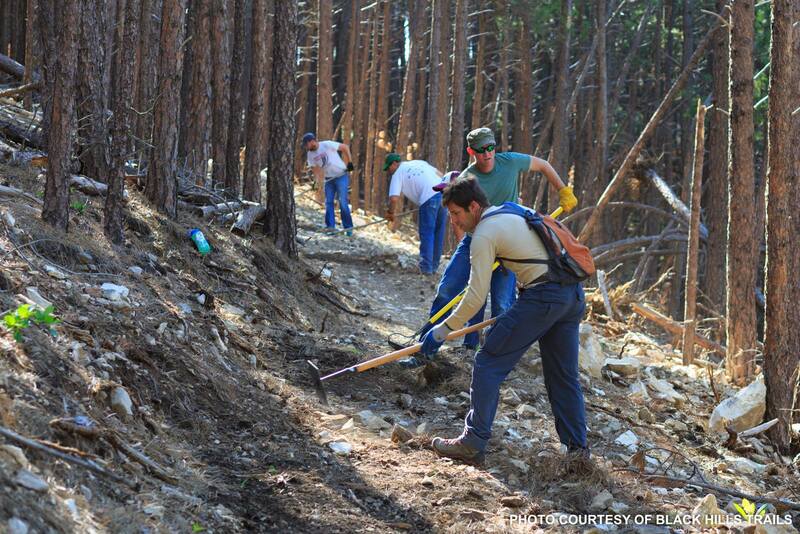 Black Hills Trails volunteers continue to assist with this effort on the ground. 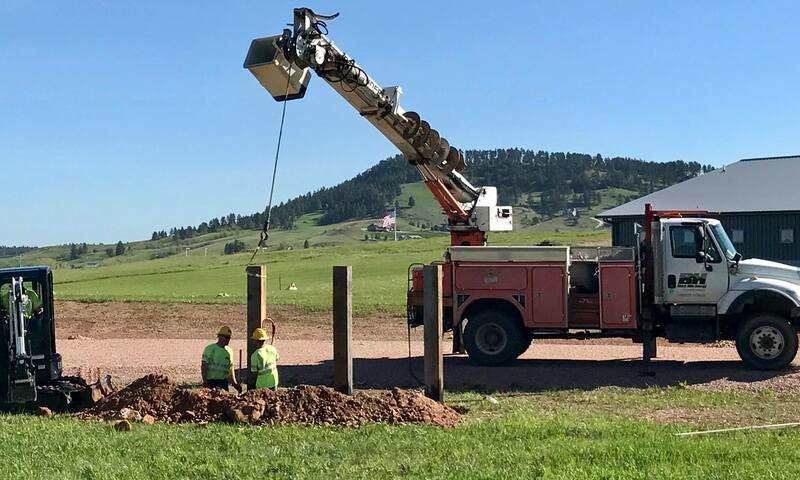 Black Hills Trails and the Bureau of Land Management worked with Eagle Scout candidate Seth Edelen on his Eagle Scout project of designing and building a new trail. 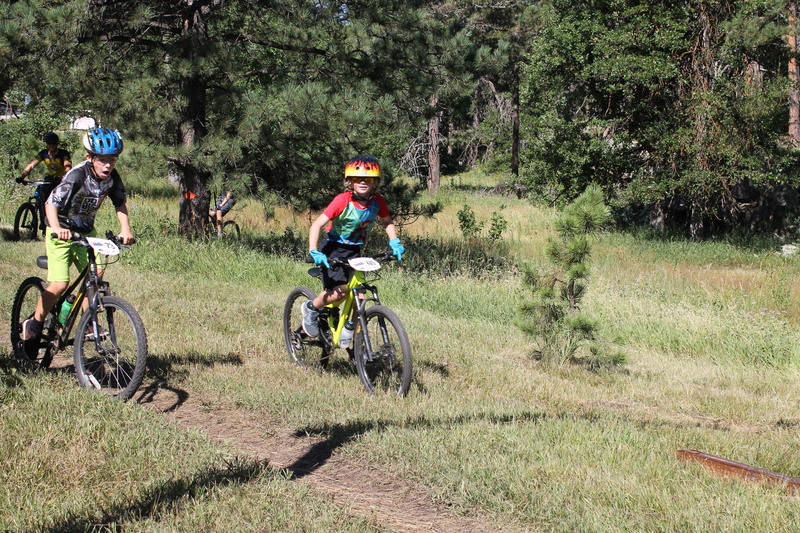 This successful project resulted in a new section of trail that helped make the first-ever youth-only mountain bike race in the Black Hills possible. The event drew nearly 140 elementary, middle, and high school riders and was an overwhelming success. 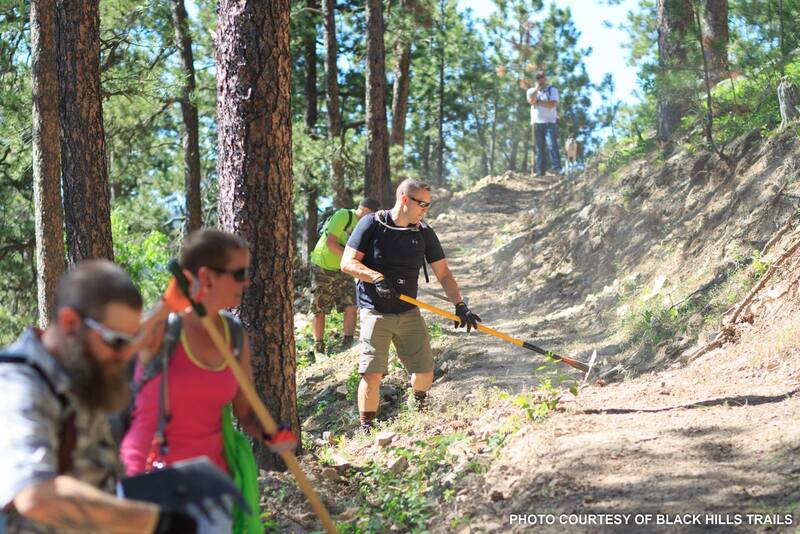 With the end finally in sight on the Sturgis-area projects, Black Hills Trails will be taking action in 2018 on future trail systems. Please stay tuned, as your help will absolutely be required! Black Hills Trails would not be able to continue its mission of building community with trail and connecting our local communities without the continued involvement of amazing volunteers and donors. We would like to extend our deepest thanks to all those who contributed needed funds, labor, or support to the continuation of our mission in 2017. The recent dispute over Forest Service Special Use Permits for long-standing cycling and running events is a hot topic [2017-RCJ-1]. 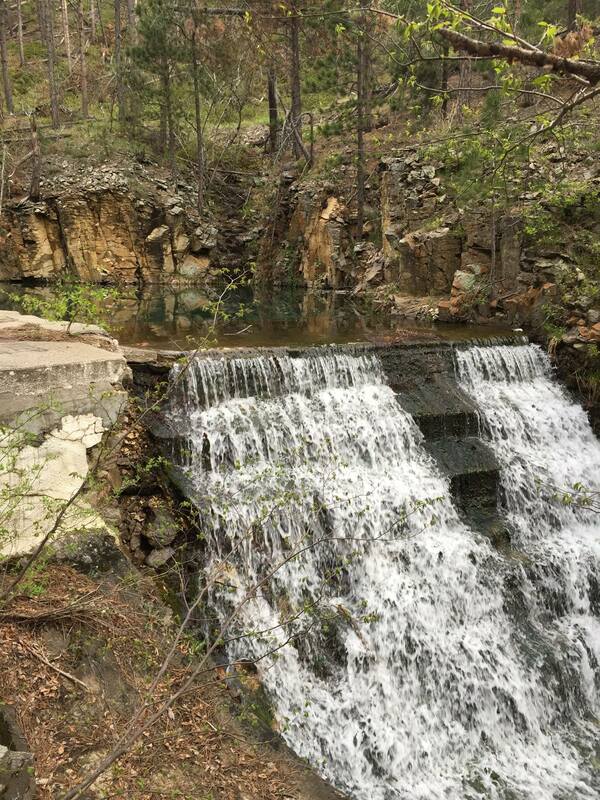 The history of these Rapid City area trails goes back more than 20 years. The events that have taken place over this long span can make it difficult, as a member of the public, to be adequately informed. If these trails are lost to nature as the Forest Service intends, it could set a precedent for the next 20 years. 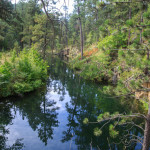 The Black Hills is unlike any other Forest and requires unique management. 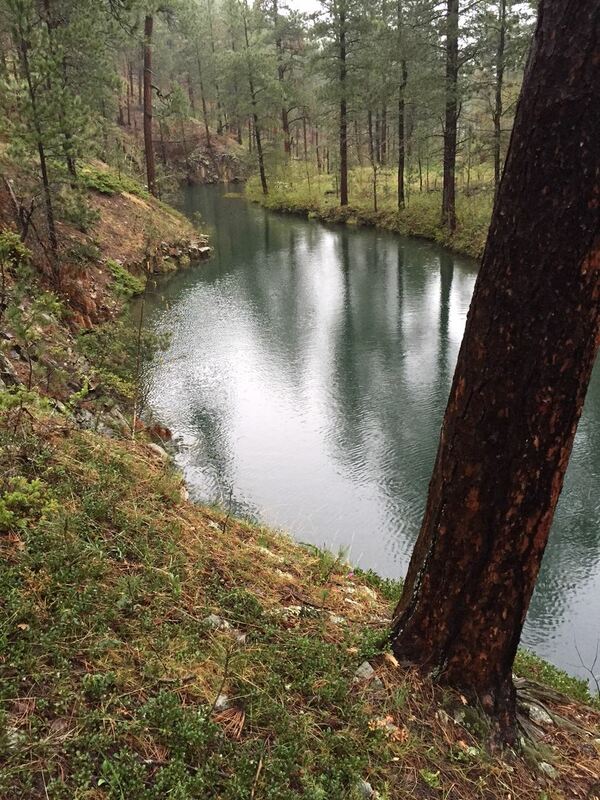 The area has just the right amount of wind, rain, and sun — Ponderosa Pine grows like weeds. 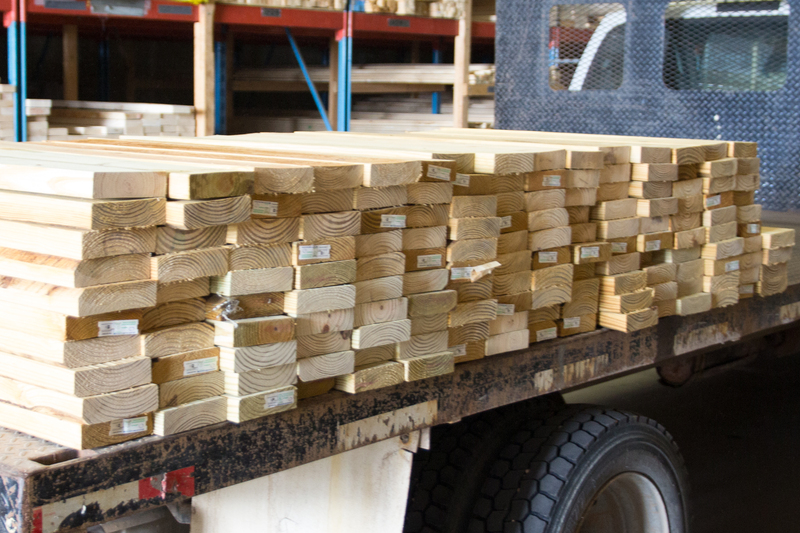 Commercial timber harvests follow wherever pine grows thick. 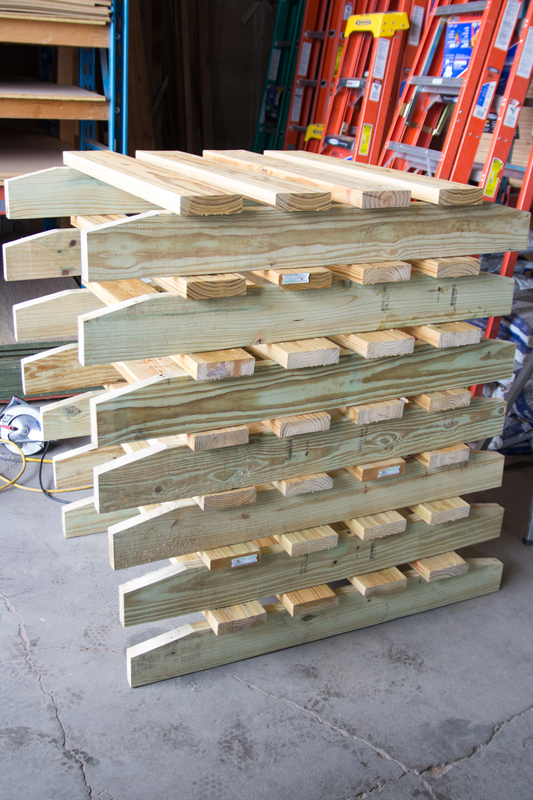 Without a proactive timber strategy walls of pine would stifle all forms of recreation. Recreational users welcome judicious logging, it keeps our Forest healthy. 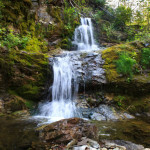 At the same time, there are more opportunities to adventure into the Forest here than almost any place one can imagine. 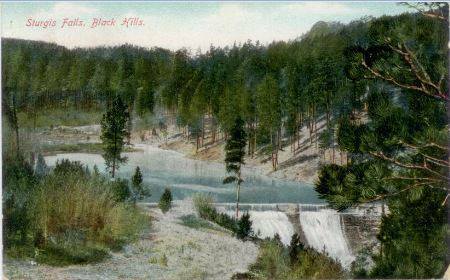 Many towns are landlocked within the Black Hills National Forest. Thousands of private in-holdings sprinkle the 1.2 million acres. Residents traverse their Forest every day for much of their regular travel. 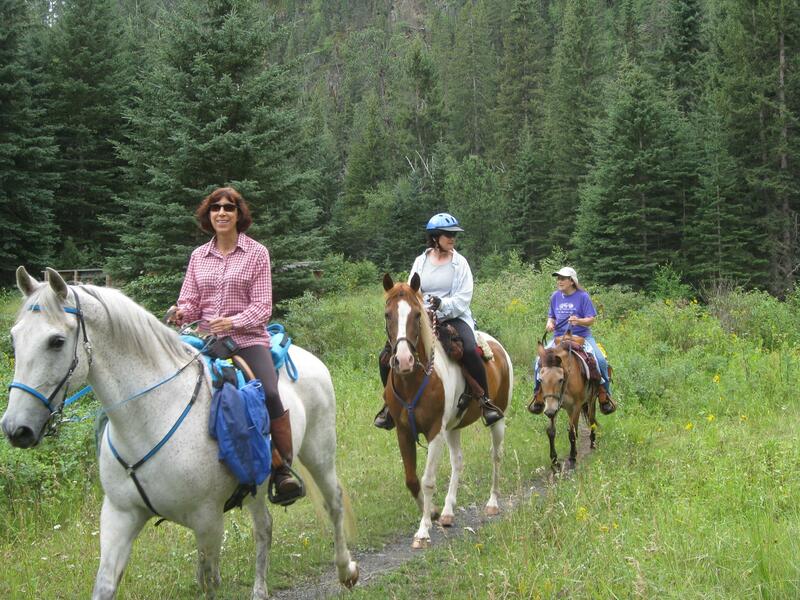 The Black Hills is a place where people can, and do, hike or ride through their Forest from town to town. 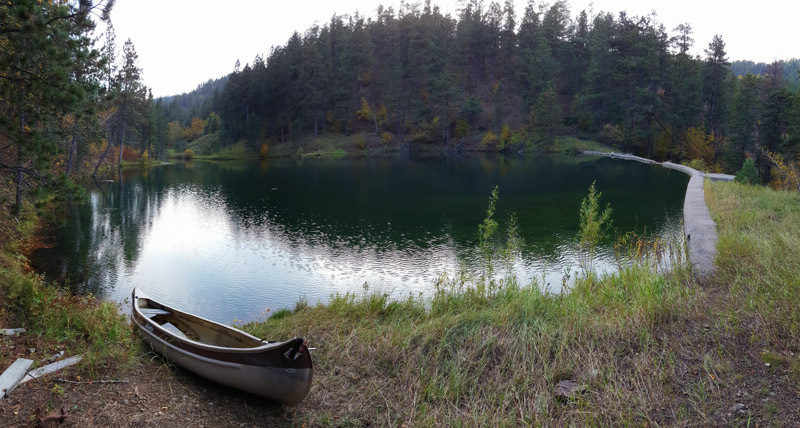 For those in search of adventure and a European back-country experience, the Black Hills area has been an uncharted, unmapped destination for decades. 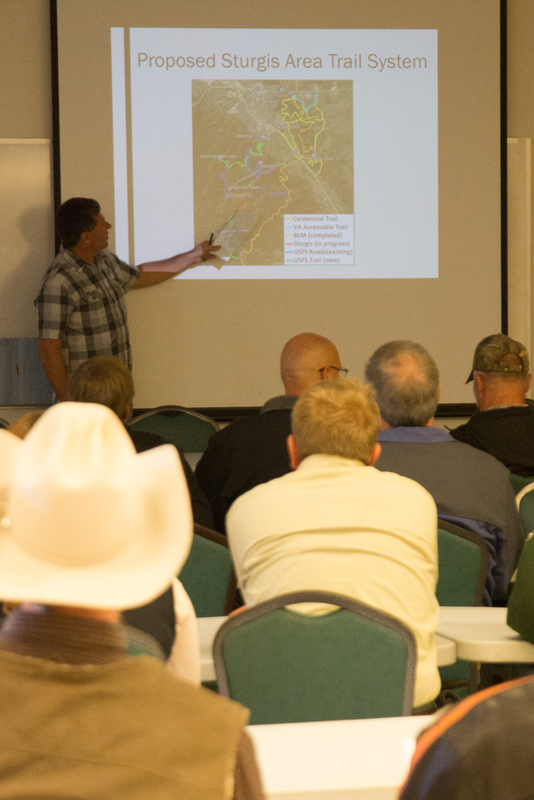 Understanding the history begins with understanding the development of the current Black Hills National Forest Land Management Plan. 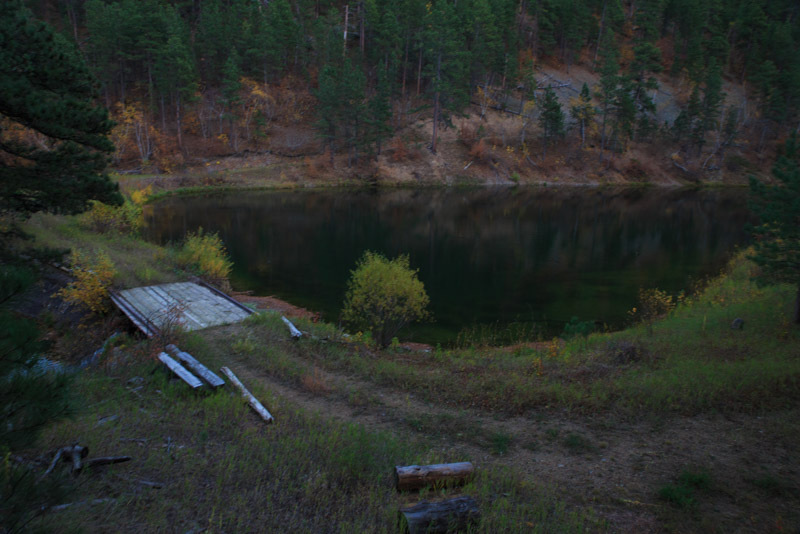 This plan is the template for Forest land management in the Black Hills and was created through public involvement including many of the same individuals still involved with trail advocacy today. 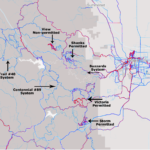 This involvement resulted in a clearly stated goal for 204 miles of new non-motorized recreational trails per decade — codified in the 1997 Forest Plan. Our elected federal representatives have painted a very clear picture through the years. 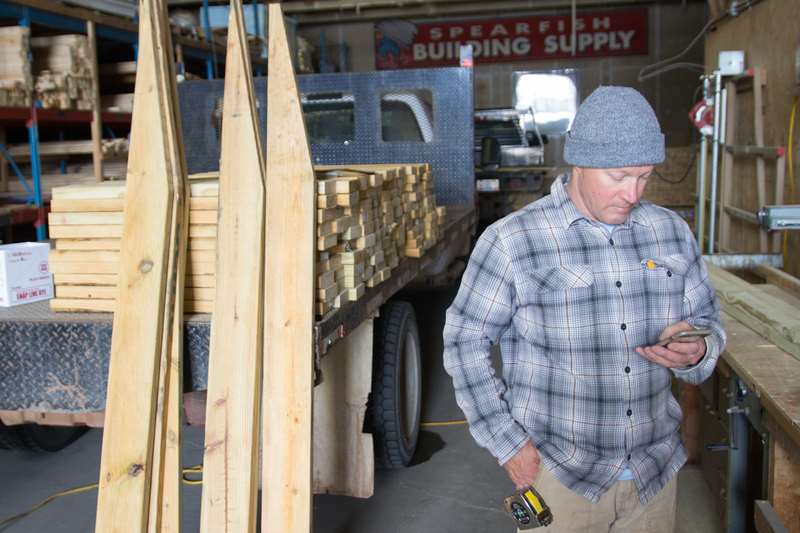 The Multiple-Use Sustained-Yield Act of 1960 [1960-MUSYA], the National Trails System Act of 1968 [1968-NTSA], and the National Forest System Trails Stewardship Act of 2016, among others, tell the story. 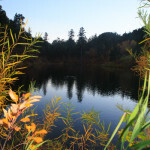 Shared use of our Forest resources is a must, but our Forests are there for our enjoyment and recreation. National Forest lands should be managed with recreation and trails in mind — especially near urban areas. The 1997 Forest plan reflected the sentiment of these federal laws. The ball rolled slowly. 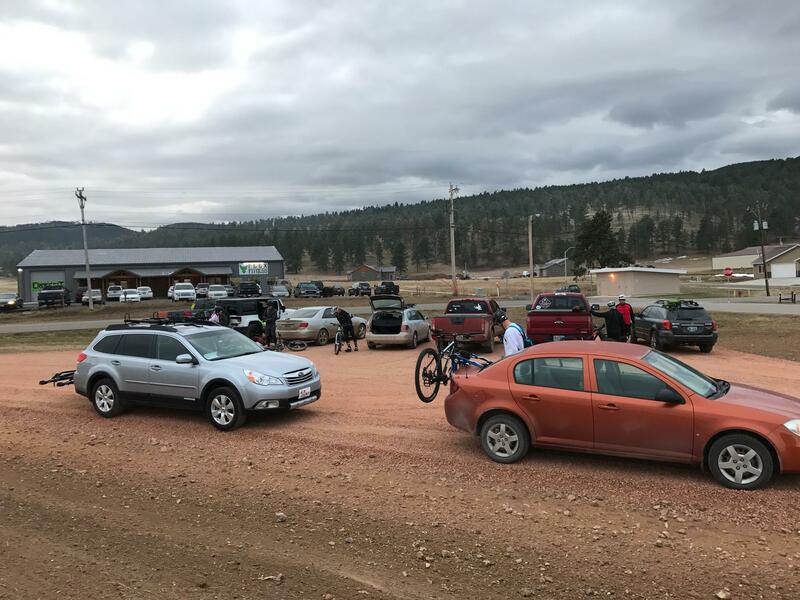 Motorized recreation became a problem, and just a few short years after the 1997 plan went into effect the hikers, bikers, and horseback riders would have to patiently wait their turn through another planning process. 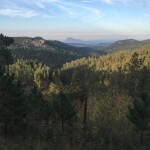 The Black Hills National Forest was mandated as a result of litigation to create a Motorized Travel Management Plan due to non-compliance with Executive Order 11644. Finally, in 2010, the Forest Plan was amended with motorized goals, mirroring the existing non-motorized goals. The parties involved in this lawsuit demonstrated it was possible to hold the Forest Service accountable, through litigation. A 700-mile motorized trail system was established and today is nearing completion. 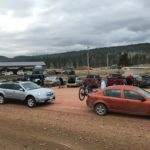 As the Motorized Travel Management process began winding down the non-motorized recreation community rallied, non-motorized trail users had waited long enough. 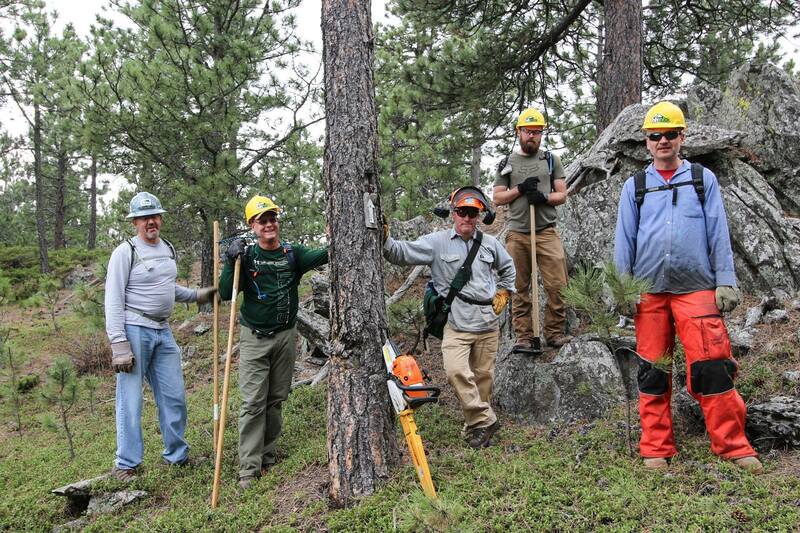 Some of the Forest Service staff of the time agreed. 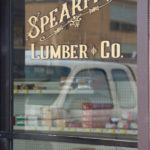 Through the intervening years, the Forest had been effectively buying the compliance of the community with a series of Special Use Permits. 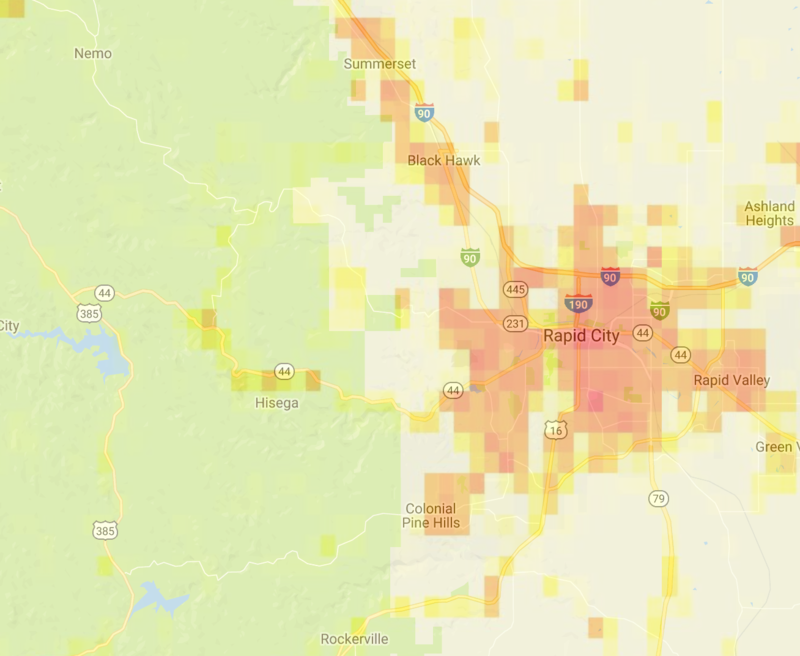 Some of these stop-gap permits covered dozens of miles of trail at the urban interface of Rapid City — some of the most well-used trails in the Black Hills [2015-STRVHT]. More than that, the permits gave tacit approval of trails where they were most needed, adjacent to the major population center [POPEX]. 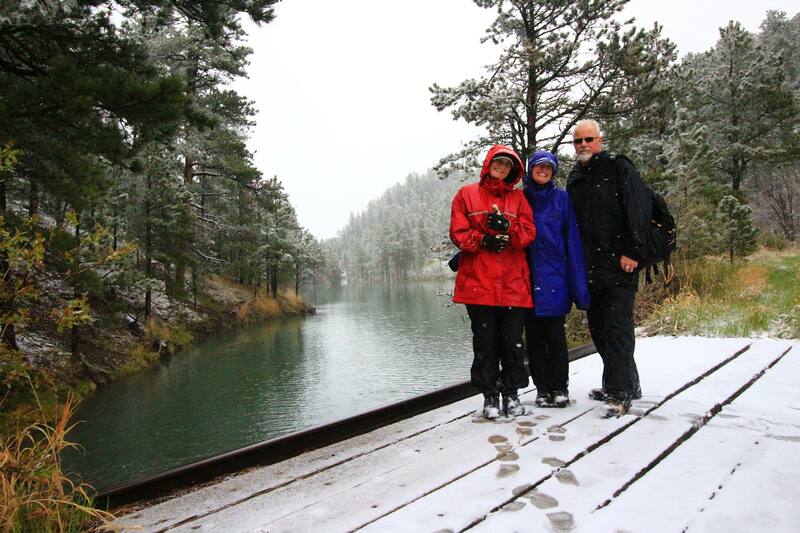 It wasn’t a perfect solution, but in the face of budget and staffing challenges the Black Hills National Forest invested heavily in National Environmental Policy Act (NEPA) studies for short-term trail use, rather than for full-blown permanent trail systems. 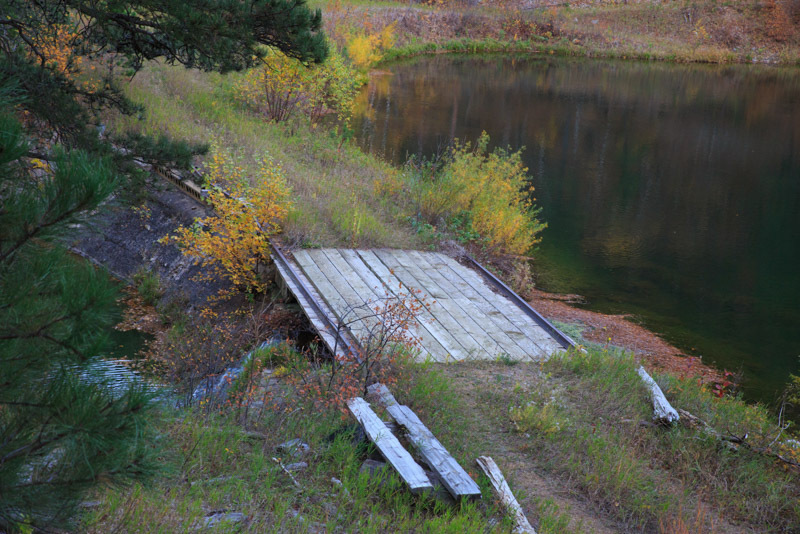 In 2007, construction finally began on a single, small, stacked-loop trail system at Buzzards Roost near Rapid City. 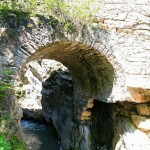 It wasn’t the ideal project, nor would it be the ideal trail system. 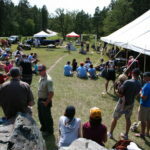 The volunteer group Black Hills Mountain Bike Association (BHMBA), acting as representatives of the entire local hiking, trail running, and mountain biking community took on the construction and maintenance of the Buzzards Roost project, knowing it was helping the Forest Service meet their 204-mile-per-decade goal. 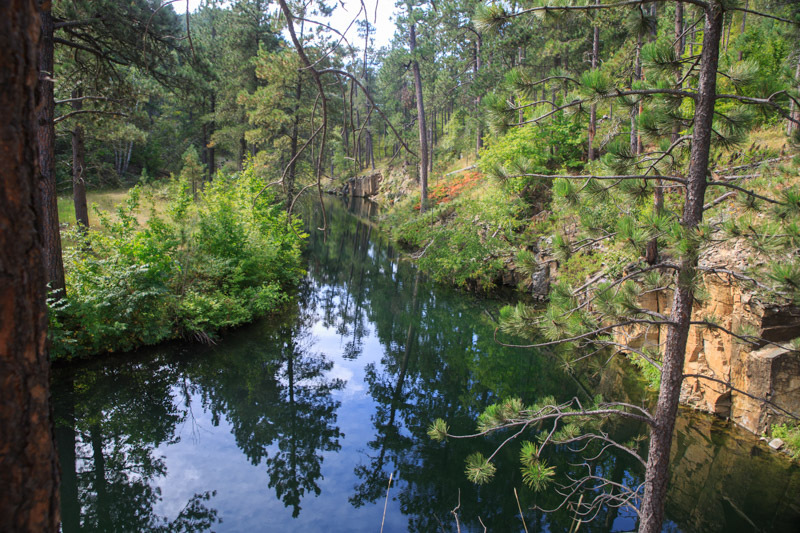 It was, after all, expected to be the first of many new trails if the Black Hills National Forest was to meet the goals contained within its Forest Plan. Construction of the trails at Buzzards Roost concluded in 2011, and BHMBA has maintained this small 10-mile trail system for the Forest since. The successes were still slow to come, but progress was tangible. 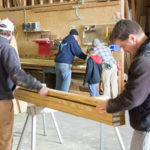 Also in 2011, the Forest issued a volunteer agreement authorizing BHMBA to permanently maintain the dozens of miles of trails formerly covered under the stop-gap special use permits. This agreement included trails at Storm, Victoria, and Shanks Quarry. The text of this agreement made clear: it was another incremental step in the long road to these trails becoming official [2011-MOU]. 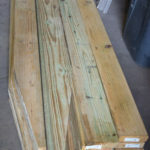 In 2012, the Forest Service sought additional taxpayer-backed funding to assist in studying trail use as part of an ongoing effort to classify these trails and add them to the Forest Trail System [2012-RTP]. 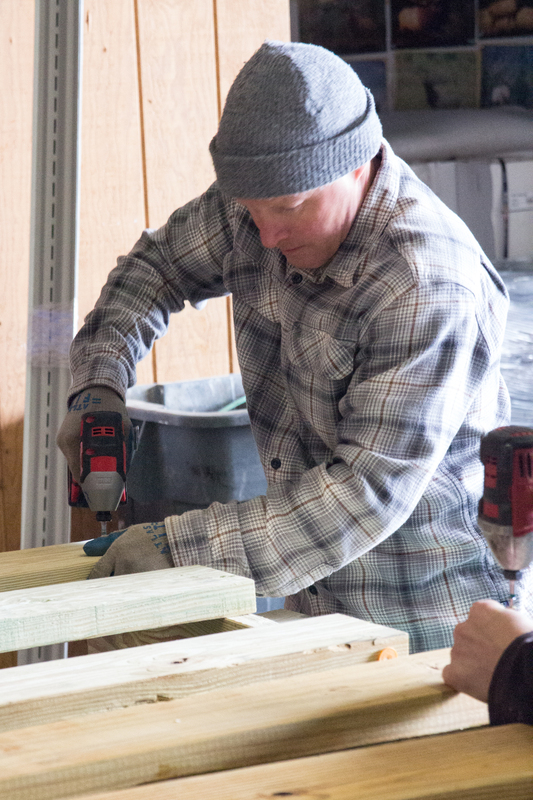 In the winter of 2013/2014, in the wake of winter storm Atlas, volunteers from many groups were given S-212 training by the Forest Service. This allowed these groups to help remove the immense quantity of fallen trees caused by this winter storm from the trail corridors. In 2014, under a new Mystic District Ranger, the rug was pulled. 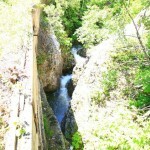 The ability to maintain these permitted trails went away. 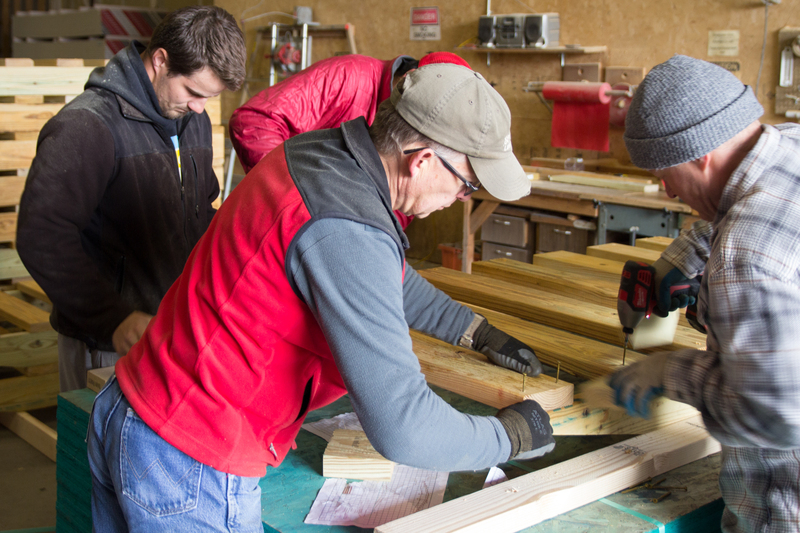 Volunteers were not allowed to use their S-212 Chainsaw training to maintain any trails, even system trails. 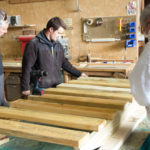 In 2016, long-term Forest partners like the BHMBA were threatened with prosecution if they continued to maintain the trails they had been promised [2016-ESPLTR]. Now, in 2017, the Forest has decided to throw away the huge investments they have made in NEPA analysis and the community has made in marketing, maintenance, and long-standing efforts to move these trails from permitted status to system status. 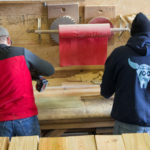 The Mystic District ranger has, at the last minute, denied a number of long-term permits that use these trails ostensibly due to a timber harvest. 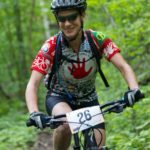 Perhaps the most well known of these events, the Black Hills Back 40 Mountain Bike Race, has raised more than $75,000 for local charities over the last 5 years and had anticipated $30,000 for 2017. 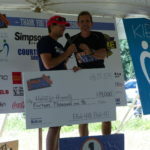 This money was intended for the Cornerstone Rescue Mission, to benefit area homeless. Officially, the Forest Service claims these permits are not being denied, they are working with event promoters to relocate the events. In truth, the net effect of this Mystic District action is forcing promoters to relocate their events to remedial venues and sub-standard trails. If event promoters hope to hold their event at all, they are being forced to comply. Officially, the Mystic District is citing safety due to on-going logging operations as the reason these events must relocate. 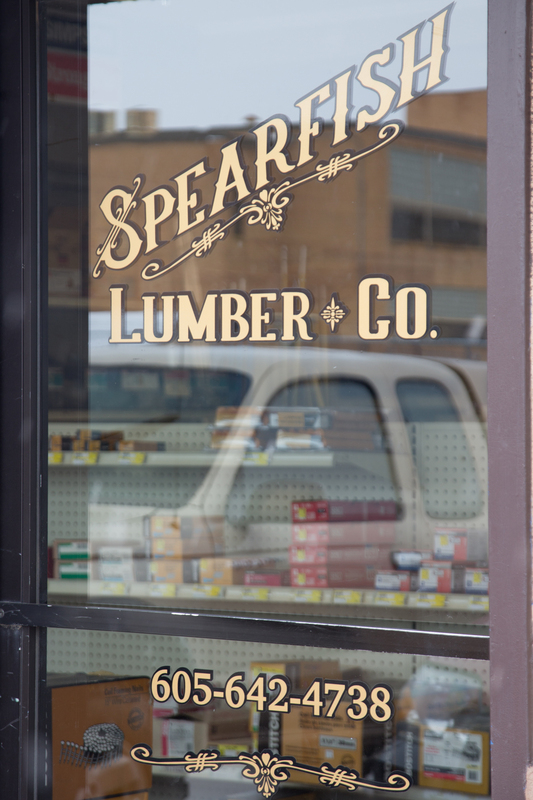 In truth, timber harvests are the de-facto standard use of the Black Hills National Forest. 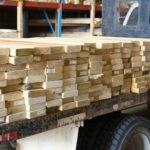 All trail events, on a long enough timeline, must pass through an active timber sale. 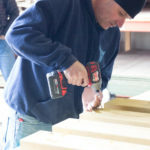 Safety is a non-issue, communication between logging contractor and event promoter has ensured participant safety for many years. 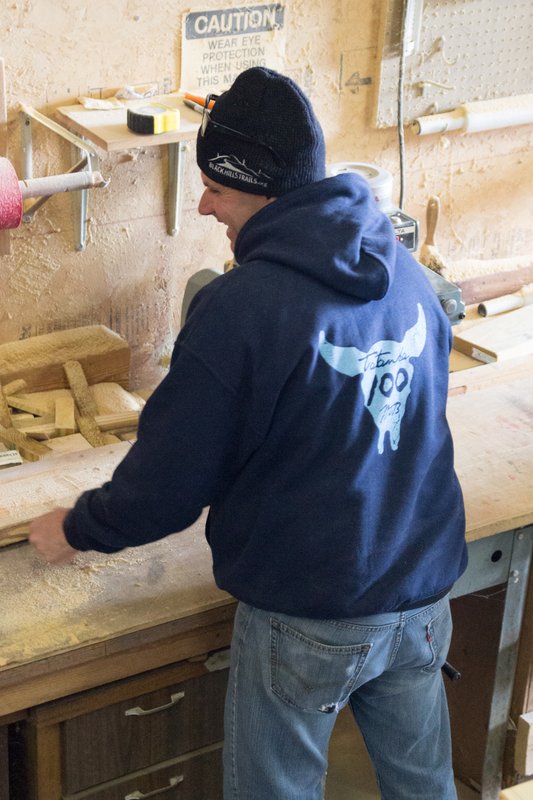 While the Mystic District looks backward, the Northern Hills District staff have arranged for the Dakota Five-O to operate through an active timber sale on permitted non-system trails this year. 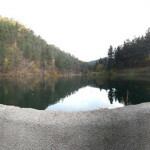 The Northern Hills District is also actively collaborating with Black Hills Trails and the City of Sturgis on a small new trail system accessing Deadman Mountain and the Sturgis City Dams. The reality: Adults who enjoyed these trails in their youth now take their own kids to enjoy them — despite threats of prosecution. 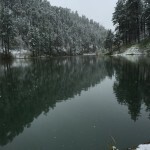 To be fair to the entire generation that has grown up waiting their turn, the Black Hills National Forest must move forward swiftly with their plan of studying these trails for inclusion to the Forest Service system. A plan was made in 1997, based on a significant amount of public input. 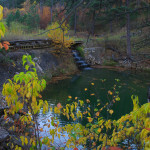 In 20 years the Black Hills National Forest has yet to approach even 10% of their 204-mile stated goal [2006-BHNF-EVAL]. The time to move forward is now. 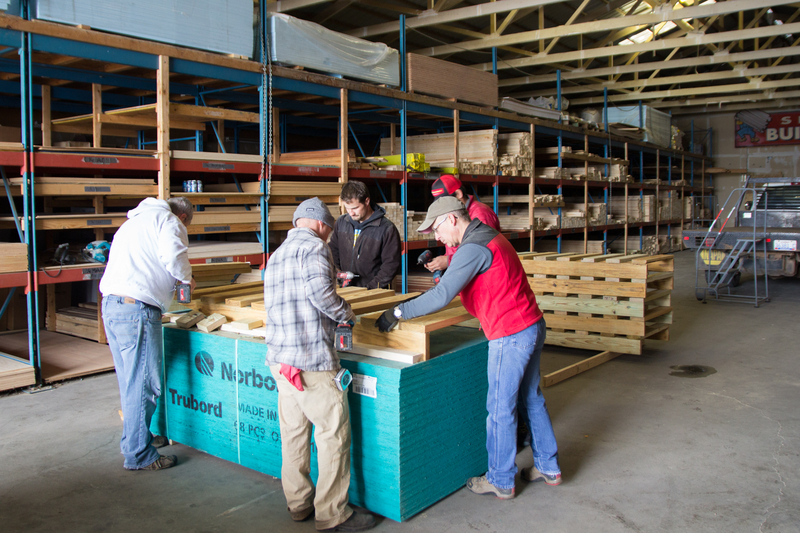 Well trained volunteer partners are ready and waiting to work with the BHNF to reach the goals of their Forest Plan. It is the intent of the Mystic District Ranger to allow these permitted trail systems to be obliterated by logging operations. 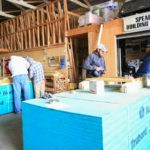 Despite momentum and mandate, the Mystic District fully intends to reverse more than twenty years of painstakingly slow progress. 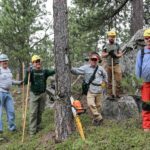 Volunteer groups, including Black Hills Trails, are continuing to work with the Black Hills National Forest. 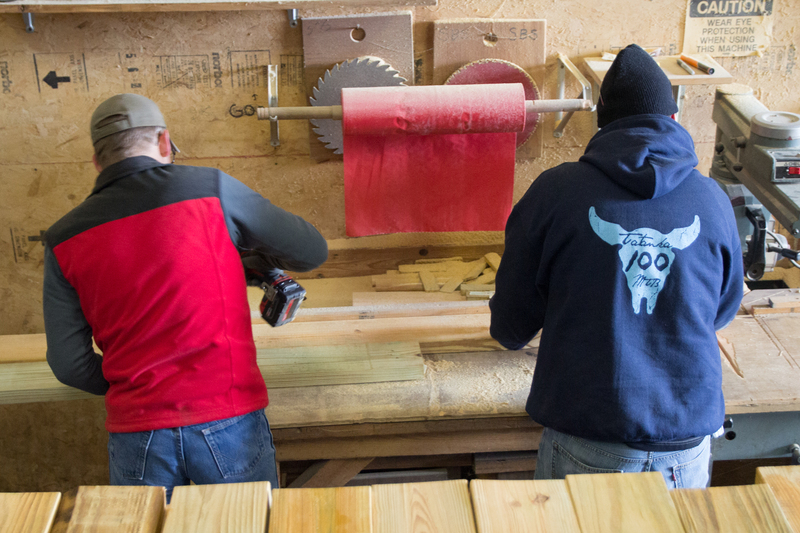 Collectively we have contributed 5000+ documented on-the-ground tool-swinging hours to Forest maintenance this decade. A generation of partnership and pursuing trails through official channels in good-faith and through fair dealings has bought the non-motorized recreation community nothing, how are they to hold the Forest Service accountable? Litigation should not be the answer. 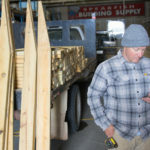 Looking forward: If these events are not allowed to continue this year, logging operations will obliterate the trails, and they may return to nature. This trail resource and the opportunities they provide to engage in healthy, responsible recreation right at the urban interface may be gone forever. These future system trails may never be. 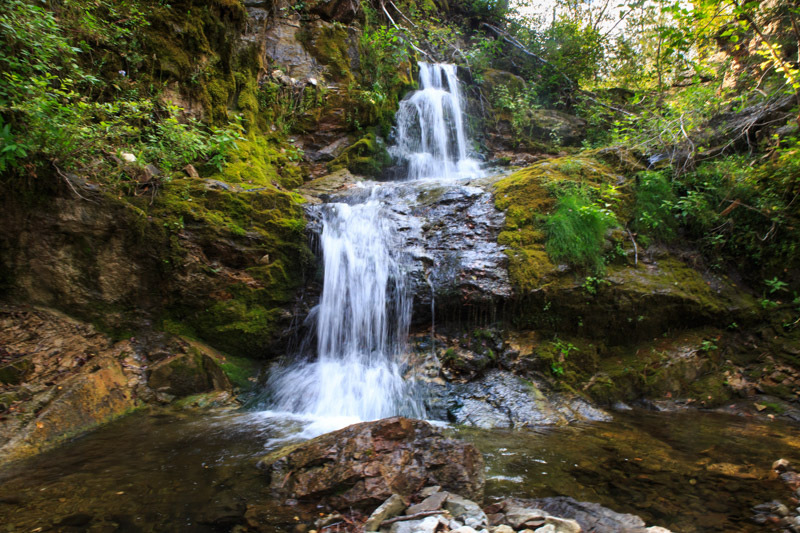 (Spearfish and Sturgis, SD) – The group known as Northern Hills Trails has been the lead proponent in the development of a modern stacked loop trail system for hiking and cycling on Lookout Mountain in Spearfish, SD. 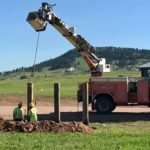 Black Hills Trails has led the development of the recently completely 7th Cavalry Trail System on the Fort Meade Recreation Area in Sturgis. 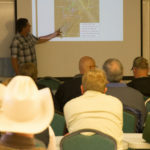 This trail system, designed for hiking, cycling, and horseback riding will connect to a new system south of Sturgis in the near future. 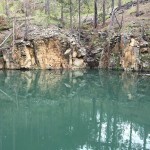 This new system, the current focus of Black Hills Trails, will connect Sturgis to the serene Sturgis City Dams and to the summit of nearby Deadman Mountain. Moving forward both organizations will be consolidating their trail advocacy efforts under the Black Hills Trails banner. 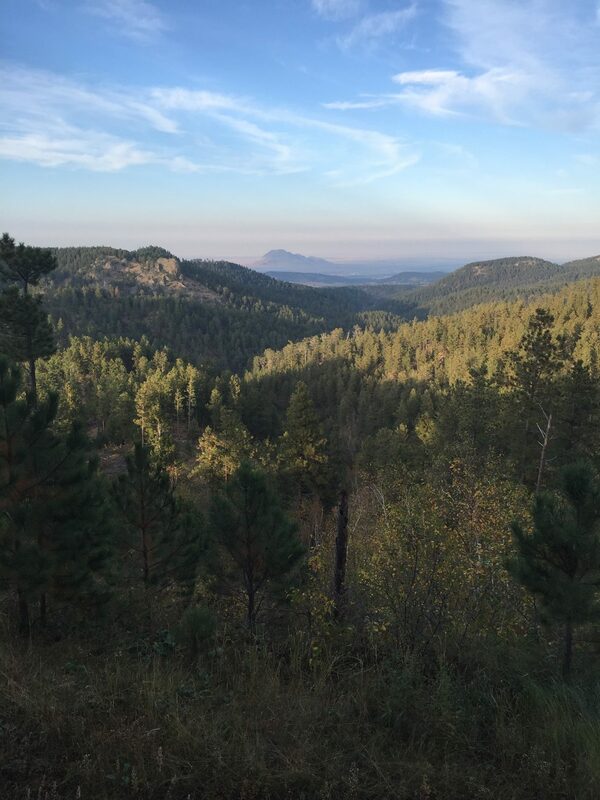 Merging Northern Hills Trails into Black Hills Trails brings together a significant pool of resources, expertise, and a unified voice that will result in more and faster progress on trail projects in the Northern Black Hills in the future. 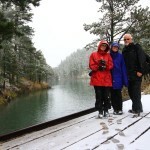 To get involved please join the Black Hills Trails email list on http://www.blackhillstrails.org/. Future news and opportunities to collaborate or volunteer will be announced on this website. 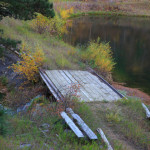 The Northern Black Hills has a bit of history with above-ground cattle guards. In 1993, several of the devices were installed on the Fort Meade Recreation Area outside of Sturgis. 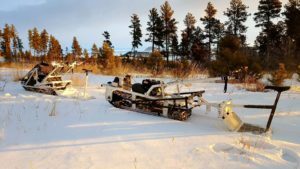 Around the same time, several more were installed on the Bearlodge Ranger District of the Black Hills National Forest in Wyoming. 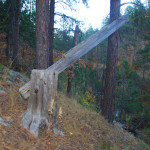 In the intervening years, thirty or more of these “roll over gates” have been installed throughout the Northern Black Hills. They have proven themselves in the field, with reduced instances of walk-through gates being left open and cattle being let out, and to date, there have been no reports of stock being injured by them. 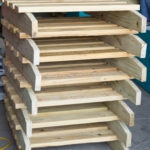 They have also proven to be remarkably durable for simple timber structures made from nothing more than 2″x6″ dimensional treated lumber and nails or screws. 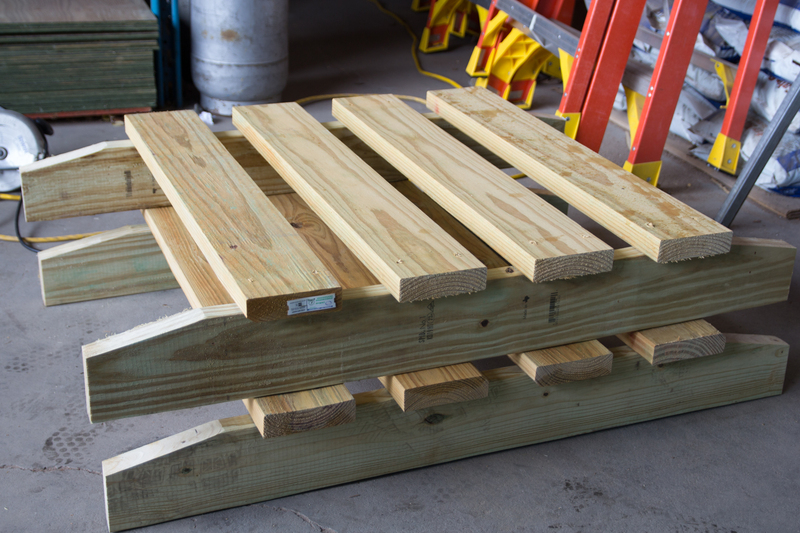 Those first roll over gates installed in 1993 did not receive any maintenance until Public Lands Day in 2013, and while several of the “treads” were replaced, the devices were still fully functional. 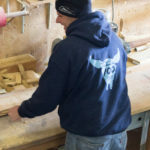 As a result of their simple construction, they are also easy to repair in the field — even deep in the back-country — with nothing more than basic hand tools. 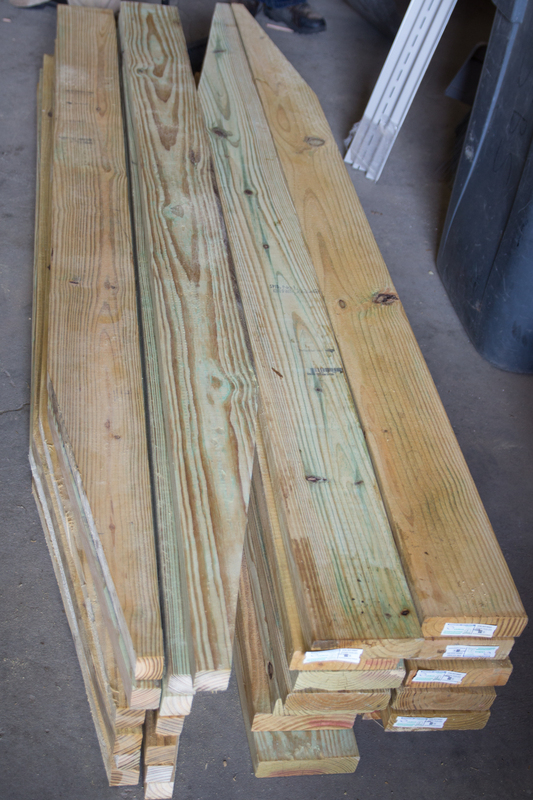 Many times these devices are referred to as a THAD (pronounced Tee Head) by locals. 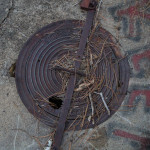 The acronym is the subject of some debate, but typically Trail Head Access Device, or Trail Head Animal Deterrent, depending on which of the folks with a long memory happen to be telling the tale. 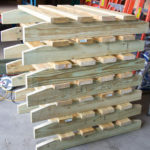 The newest design is in three pieces, intended to make the construction, installation, and maintenance all that much easier. It is almost unbelievable that such a simple, easy to maintain device makes using local trails so much more enjoyable for cyclists, hikers, and runners. Those with grazing leases sing praise as well, they tend to spend much less time chasing down stray cattle after the devices are installed. Trail users simply don’t have to be concerned about closing a gate if they don’t have to open the gate in the first place. 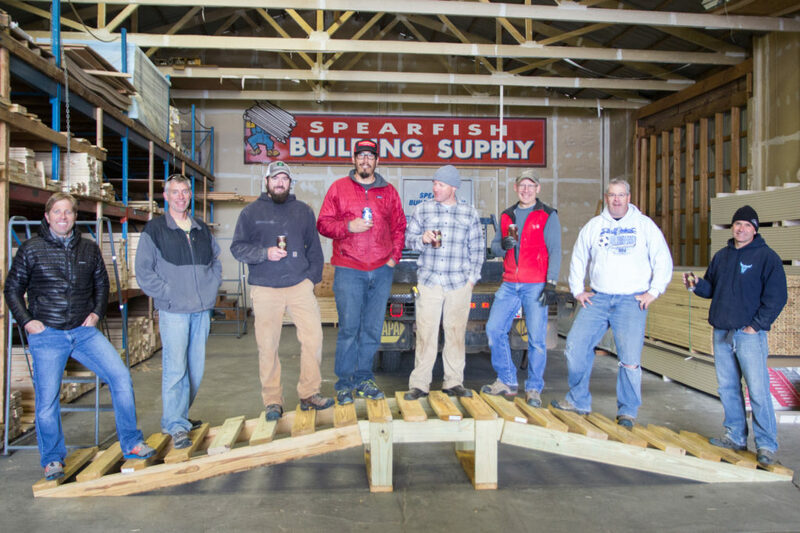 It was a snowy Sunday afternoon in April of 2016, when a handful of volunteers gathered in Spearfish to construct the latest of these roll over gates. 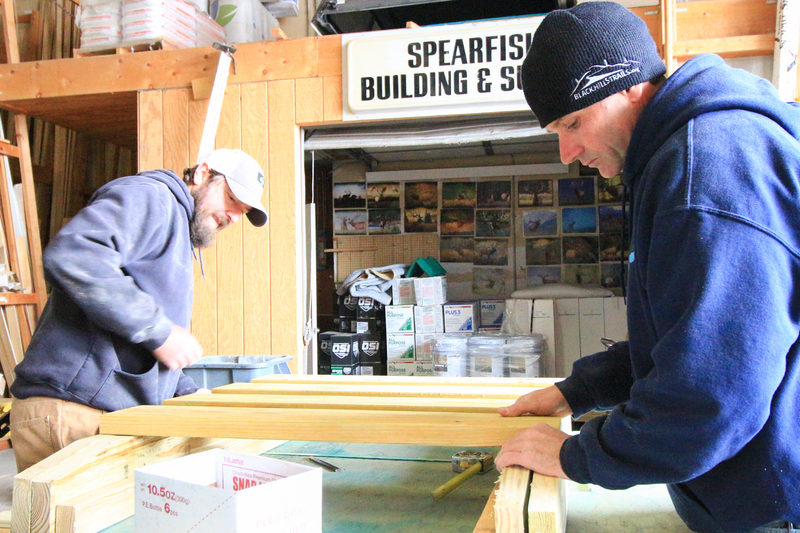 Of the seven gates constructed that afternoon, two are destined for the Lookout Mountain Park in Spearfish, to compliment the revamped trail system under construction there. 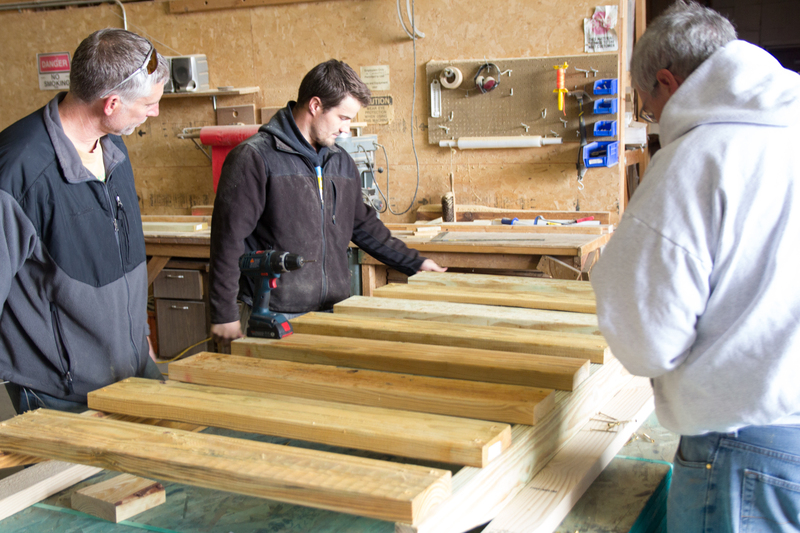 The other five will be installed on the Centennial Trail #89 on the Mystic District. 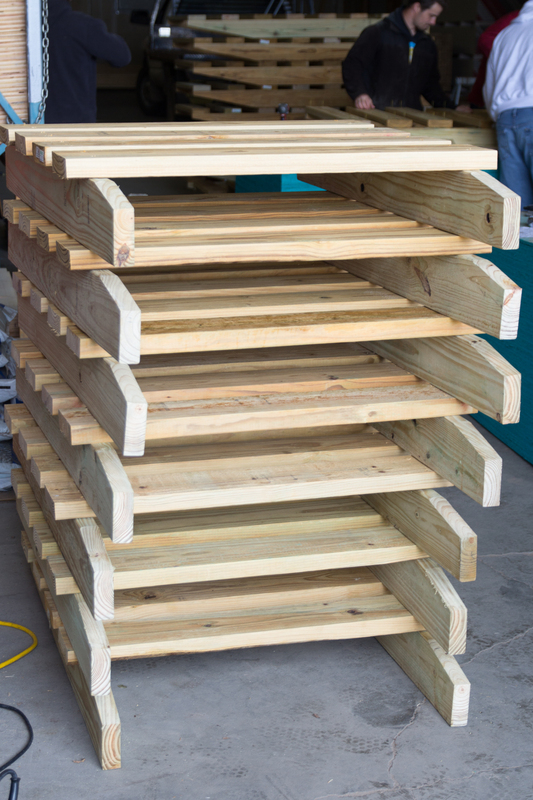 These roll overs will be installed alongside existing gates on the Centennial from Highway 385, just south of Pilot Knob, south past Pactola, over Samelius to near Mt. Rushmore. 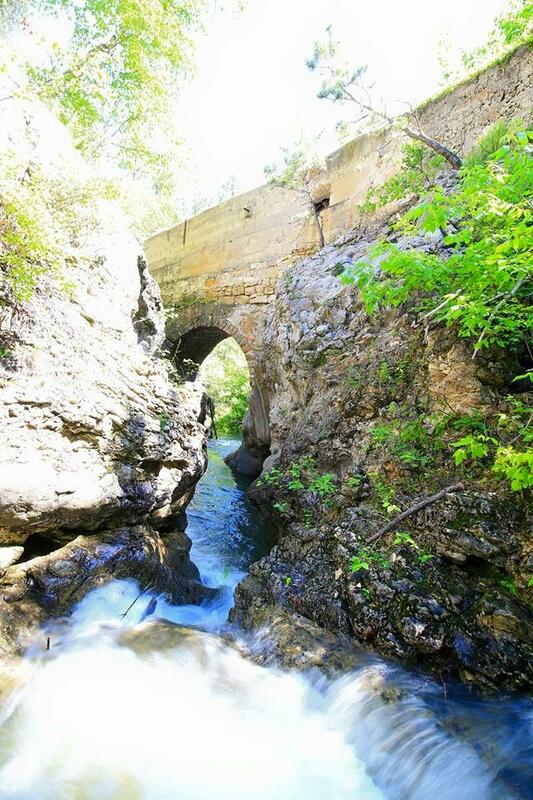 The Centennial Trail has, for a number of years, been passable without opening a single gate for dozens of miles to the north of Highway 386. From Pilot Knob, just north of Pactola Reservoir, to Sturgis, one can travel the entire length of the Centennial Trail between these points without opening a single gate. 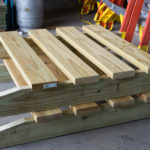 These new roll overs will be the first installed in the Southern Black Hills, as part of the Tatanka Mountain Bike Race Special Use Permit with the Black Hills National Forest. 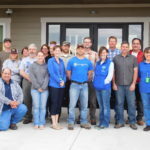 Black Hills Trails is working hard to connect communities in the Northern Black Hills. 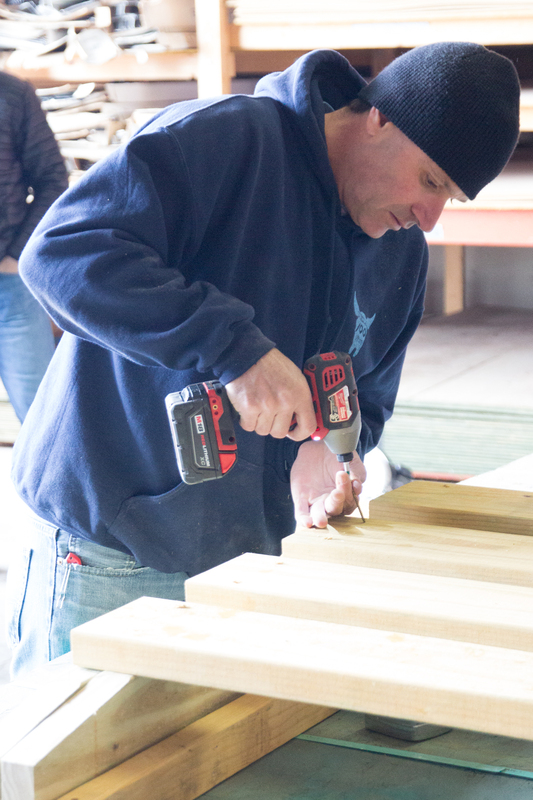 A major step in this vision is right around the corner and we need your help to make it happen. 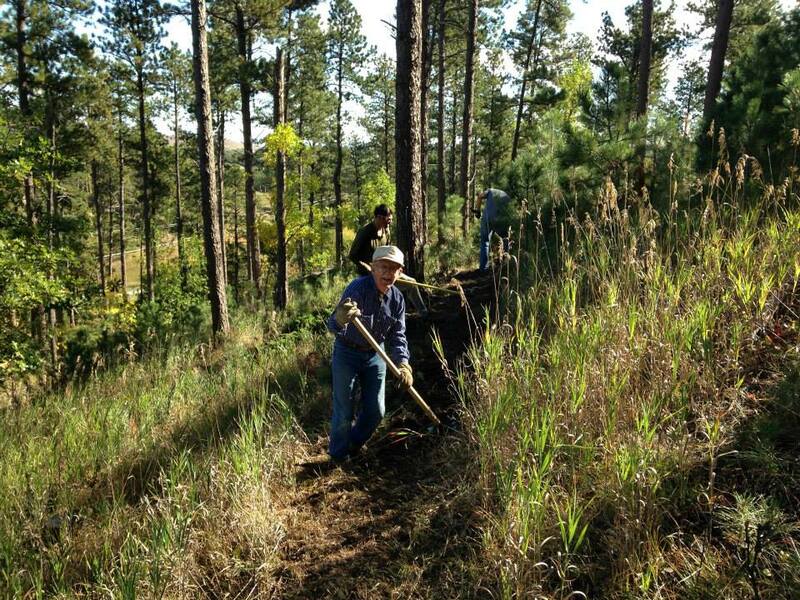 In addition to the many miles of trail we help maintain, Black Hills Trails and our volunteers have built about two miles of new trail each year, for the past three years. The progress has been slow and steady, but thanks to our resolve and the continual willingness of dedicated volunteers to show up and move dirt, the opportunity to do much more is at hand. 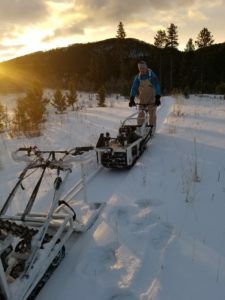 Black Hills Trails has recently entered into an agreement with the Bureau of Land Management to build the 7th Cavalry Trail System on the Fort Meade Recreation Area east of Sturgis. Progress on this is already underway, but there are more than twenty miles of new trail to build in the near future. 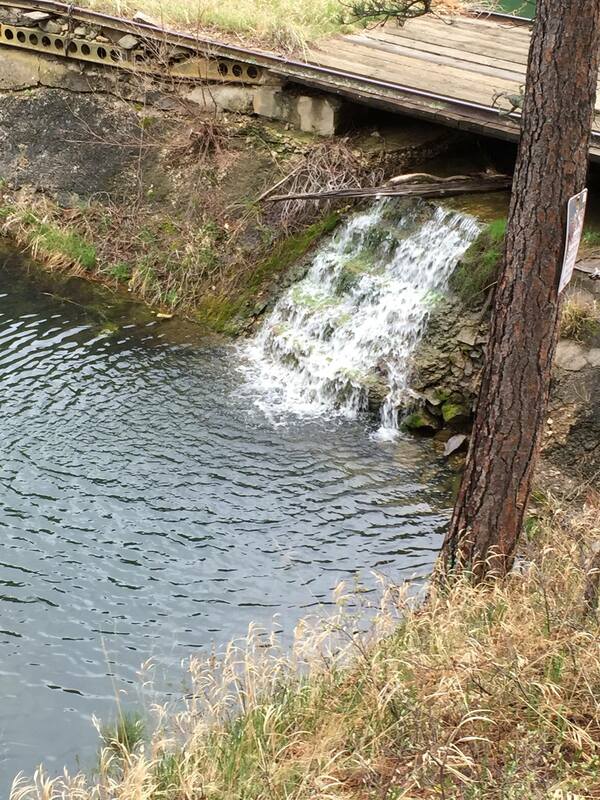 The City of Sturgis has recently approved the development of new trails into the City Dams, or Davenport Dams, that will be integral to a much larger Deadman Mountain Trail Project that Black Hills Trails is working in partnership with the U.S. Forest Service to achieve. 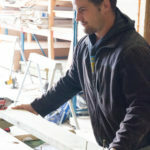 A conservative estimate puts the costs associated with finishing these projects over the next several years at more than $75,000. 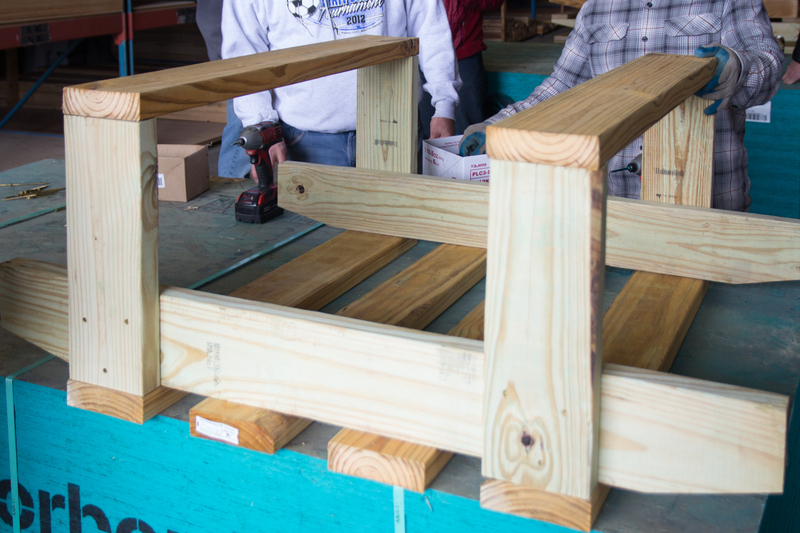 These costs include an expansion of the supplies and equipment available to our volunteers, contract construction services for the work we will be unable to complete ourselves, and the materials necessary to add proper signage to this world class trail system when it is complete. 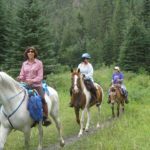 Black Hills Trails strongly believes these enhanced recreational opportunities will improve the health and happiness of area residents, and provide numerous future opportunities to benefit the local economy and our Black Hills way of life. 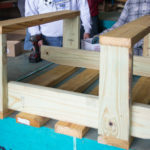 By supporting these projects you are supporting the Black Hills Trails vision of connecting our communities. 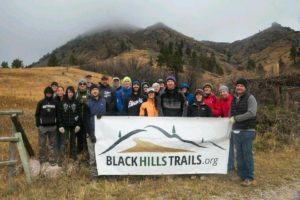 One local donor believes strongly in this vision, and is willing to match, dollar for dollar, each and every donation made to Black Hills Trails up to 50% of our fundraising goal, or $37,500. 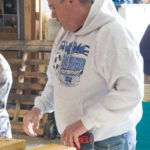 Alternate means of making donations are available on our website, at blackhillstrails.org, or contact us by emailing team@blackhillstrails.org. 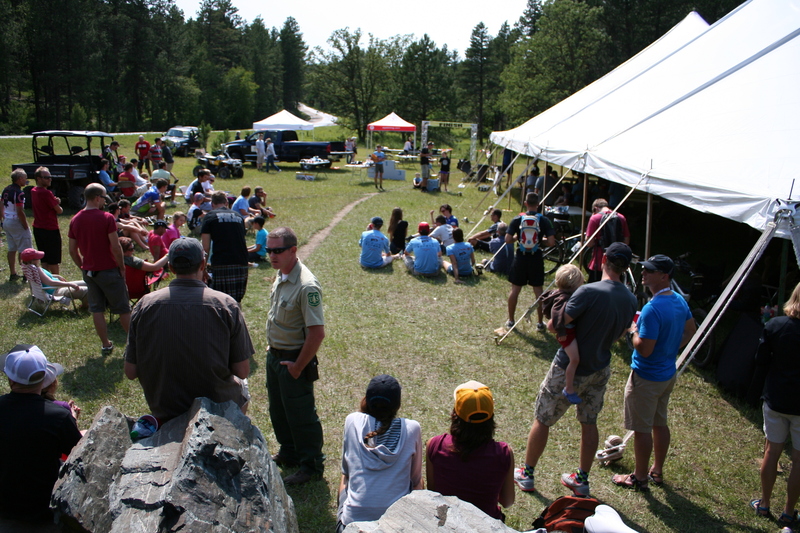 Black Hills Trails maintains 501(c)(3) charity status with the IRS, your donation will be tax deductible to the extent allowed by law. 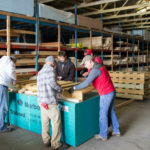 Your financial support in connecting Black Hills communities is greatly appreciated. 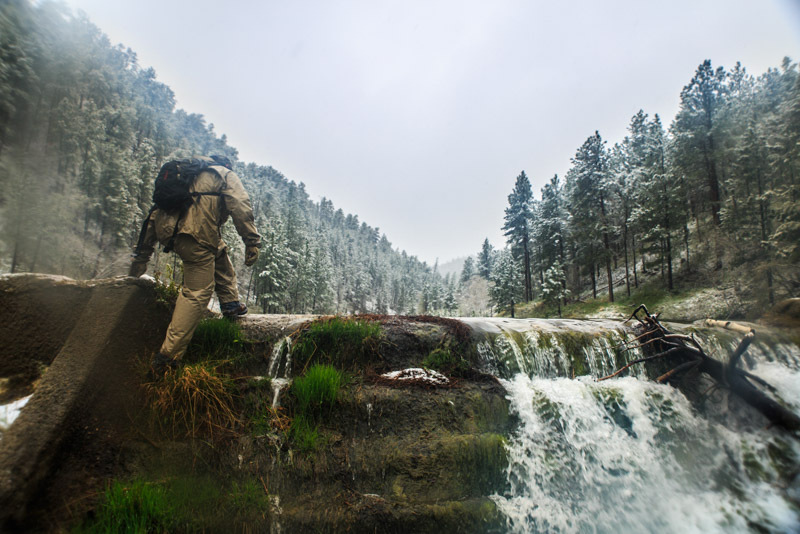 Your rights to access public lands are at stake, we need your help! 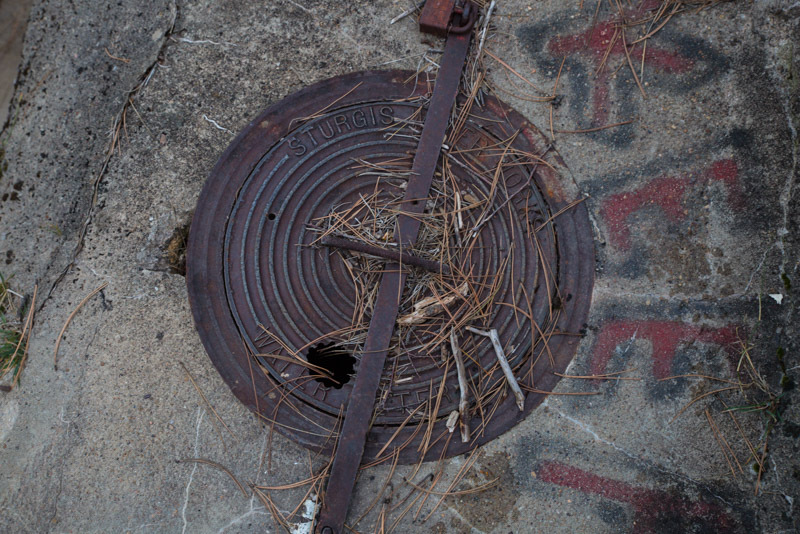 Background – In the 1970’s the City of Sturgis purchased the domestic water distribution and storage infrastructure from the Jarvis Davenport heirs that was originally built in the early 1900’s. 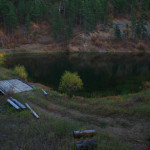 Due to EPA regulations the above ground water storage system AKA “City Dams” was abandoned as a source of drinking water for the City of Sturgis. 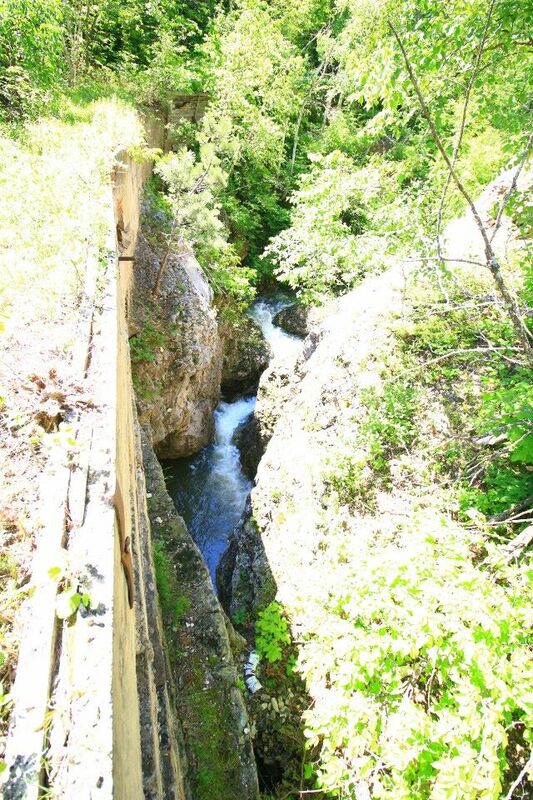 For the last 30 years the only persons utilizing the City Dam property have been recreational in nature through executive privilege or outright trespass. No public access to this public land has been allowed. 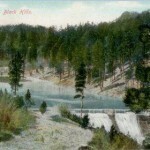 The 501(c)(3) not for profit Black Hills Trails has proposed including the City Dam property in a stacked loop multiple option non-motorized trail system that is directly accessible from several trailheads within the Sturgis City limits and several trailheads located on BLM and US Forest Service property. 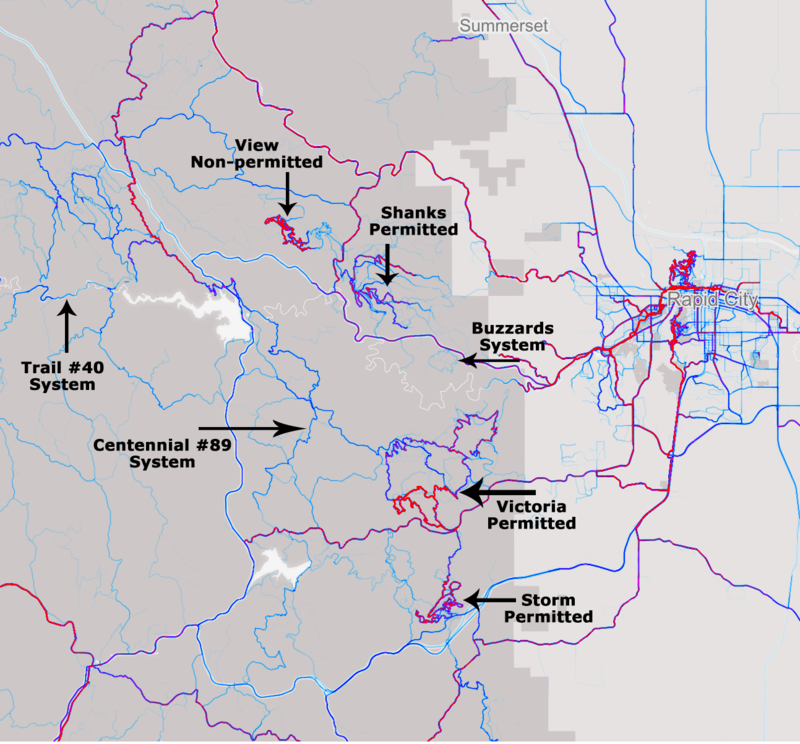 This system would encompass the Fort Meade Recreation Area managed by the BLM, City of Sturgis property adjacent to the Bear Butte Cemetery, the Barry Stadium, and the City Dams, along with USFS property on Deadman Mountain, and along Alkali Creek. 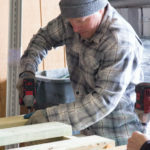 When completed, recreational users will have access to loops of length from only a couple miles to 50 miles, or more, all starting and finishing in the city limits of Sturgis. 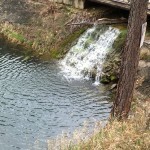 Additionally, new water born recreation never before open to the public will be made available in addition to many possible historic interpretative possibilities. New trail from the Lions Club Park to the BLM Fort Meade Recreation Area. Environmental Assessment completion and start of construction on 27 miles of the marked and mapped 7th Calvary trail system on the Fort Meade Recreation Area. 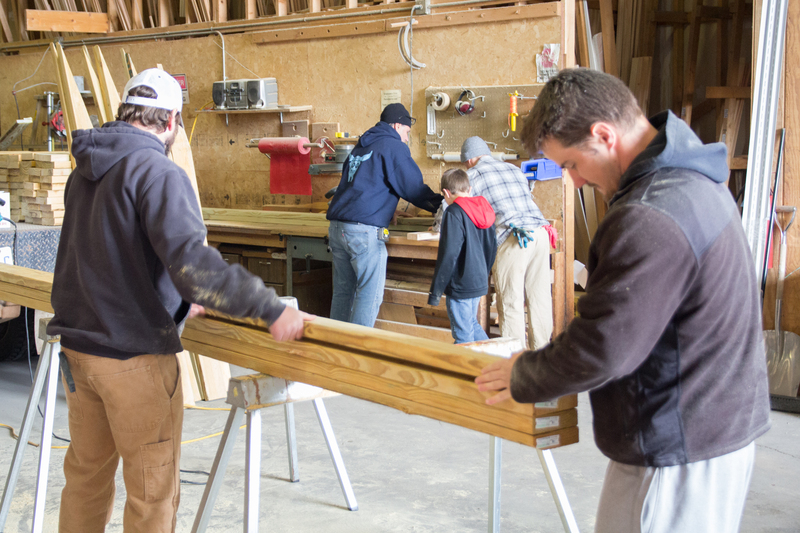 A $250,000 Recreational Trails Program (RTP) grant to the City of Sturgis for the construction of a 3 mile handicap accessible loop around the south side of the Fort Meade VA Hospital. Designation of three trailheads (Lions Club, Old Stone Road, Deadman) within the Sturgis City Limits. 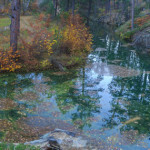 The Sturgis Park Board at their September 15th meeting unanimously approved a recommendation to the Sturgis City Council that the City Dams be open as soon as possible to the public providing a “minimalist wilderness-like experience for hikers, horse riders, and mountain bikes with primitive overnight camping”. 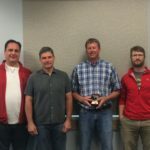 Safety of the public using the area was discussed by the Park Board and the group indicated the South Dakota liability umbrella that protects the city from liability at parks, sports fields, and activities in the downtown area would apply. 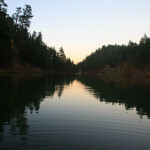 The Park Board also indicated that conditions at the City Dams were consistent with those at other city and federal managed reservoirs locally and did not see any liability concerns that would affect public access to the site. Private property owners in the vicinity of the cites holdings would not be affected as all routes are on City, USFS, and BLM property. 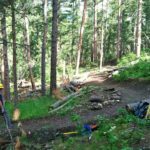 All trail construction will be funded through grants and donations to Black Hills Trails and with volunteer labor wherever possible. 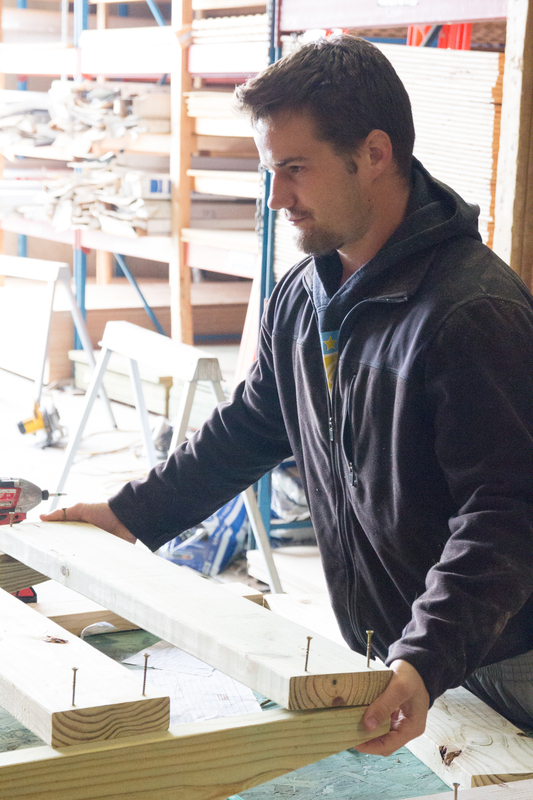 City of Sturgis budgetary impact would be minimal to non-existent. 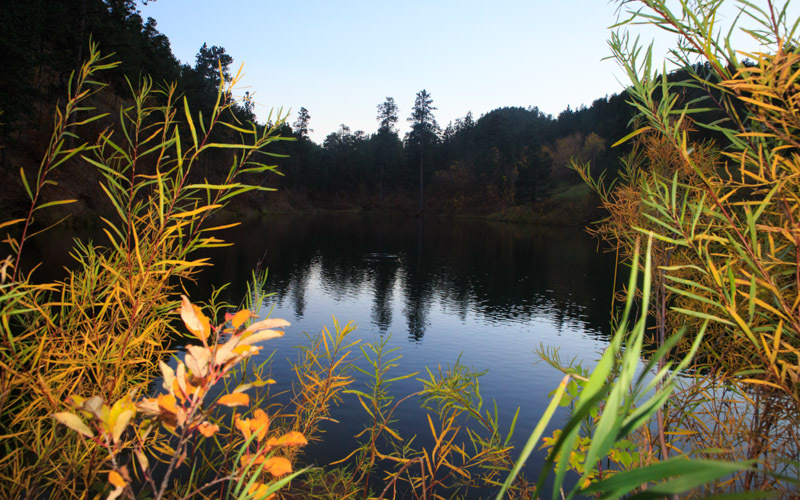 WE NEED YOUR HELP – Black Hills Trails requests your attendance at the Sturgis City Council meeting on the evening of Monday, October 19 at 6:30pm, in the Commissioners’ Room of the Erskine Building, 1300 Sherman Street, Sturgis. Please be present to show your support for your right to access this public land. If you are unable to attend, please relay your support to your Sturgis councilperson or the Mayor.